Welcome to MC2 - By Award Winning local developer Intracorp. Your Northwest corner home offers plenty of light with STUNNING UNOBSTRUCTED PANORAMIC views of the city & mountains. Plenty of windows, separated bedrooms & a 175 square foot balcony make this the best floorplan in the building! Looking for a master bedroom large enough for a King size bed with side tables? This is the one! Other features include a gourmet Bloomberg kitchen, cooling system in bedrooms & spa like bathrooms with undermounted sinks & marble counters. Amenities include full time concierge, meeting room, gym & visitor parking. 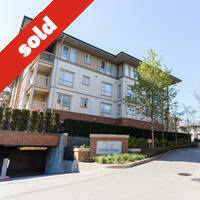 Perfect location steps to the Canada Line, groceries, shops, restaurants, banks, theatres & movie theatre. Fantastic school zone with J.W. Sexsmith Elementary & Sir Winston Churchill Secondary. 1 parking stall & large storage locker included. Welcome to TOWER GREEN by Executive Group! Southwest CORNER 2 BEDROOM + HOME OFFICE offering separated bedrooms, plenty of windows, over height ceilings, spacious open living area with gorgeous unobstructed open city views! 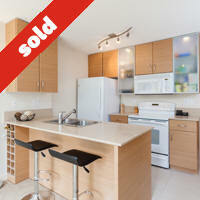 Gourmet chef's kitchen includes stainless steel appliances, imported quartz countertops with breakfast bar. First class amenities include visitor parking, meeting room, exercise gym, outdoor patios with garden plots, party room, TV room & more! 1 parking stall & BONUS storage locker included! 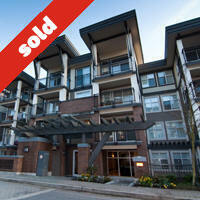 CONVENIENTLY LOCATED in the WEST SIDE of the Olympic Village just steps from the restaurants, shops & seawall. Transit outside your door with direct UBC access. Unit is in perfect condition and move in ready! HIGHEST AVAILABLE of this highly coveted Northwest CORNER DISPLAY SUITE LAYOUT with UNOBSTRUCTED VIEWS of MOUNTAINS/CITY/DOWNTOWN!! Welcome to Wall Centre Central Park Tower 3 (The Final Tower). Your home offers spacious/separated bedrooms, TONS of WINDOWS and a corner balcony. Designed to LEED Gold Standards by award-winning GBL Architects featuring floor to ceiling windows, cocoa wood-tone laminate floors, shaker-style cabinetry, quartz/marble counters & stainless steel appliances with a gas range. World Class Amenities include: visitors parking, gym, party room, meeting rooms, caretake & rooftop garden plots. 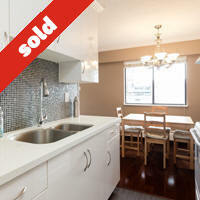 Fantastic location steps from transit, Central Park, shopping and dining. All that's missing is you! One large parking stall & storage locker included! MUST SEE to BELIEVE the size! 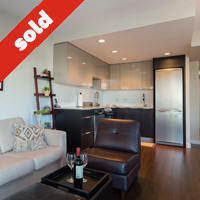 North facing FULL 1 BEDROOM, most efficient LAYOUT with HUGE 185 SF PATIO in the highly coveted Wall Centre False Creek. Love the professional grade chef’s kitchen with Viking & Blomberg stainless steel appliances, beautiful stone counters & luxurious baths. Everything you need in a place to call home. Be the envy of all in this fabulous location – minutes from Downtown, steps to Olympic Village, walking distance to both the Canada & Expo Skytrain Line & Seawall. Building amenities include caretaker, TWO guest suites, gym, meeting room, lounge, gardens & plenty of visitor parking. 1 parking and 1 storage locker included. QUIET SIDE East facing home at the Mandarin Residences by WALL FINANCIAL in the heart of Richmond. This perfectly laid out 1 bedroom + office offers an open & highly efficient floorplan featuring beautiful floor-to-ceiling windows, Stainless Steel appliances by Fisher & Paykel & AEG’s private line-Porter & Charles gas range, sleek quartz countertops/backsplash with plenty of cabinet space. Cheater ensuite to the bathroom and an oversized balcony overlooking the peaceful courtyard makes this the perfect home! Location can’t be beat with a 93 Walk Score – Brighouse Skytrain Station is at your doorstep & Richmond Center across the street. Unit shows like new and includes 1 parking stall. 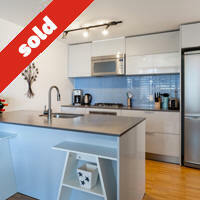 TOWER GREEN by Executive Group! RARELY available Southeast CORNER 1 BEDROOM + HOME OFFICE offering plenty of windows, over height ceilings, spacious open living area & an OVERSIZED BALCONY perfect for BBQing while enjoying the gorgeous open city views! 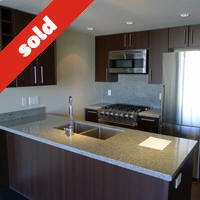 Gourmet chefs kitchen includes stainless steel appliances, imported quartz countertops with breakfast bar. First class amenities include visitor parking, meeting room, exercise gym, outdoor patios with garden plots, party room, tv room & more! 1 parking stall & BONUS storage locker included! 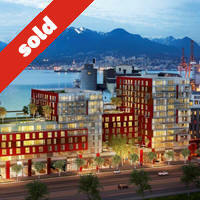 CONVENIENTLY LOCATED in the WEST SIDE of the Olympic Village just steps from the restaurants, shops & seawall. Transit outside your door with direct UBC access. Unit is move in ready! The wait is over - MOVE IN to River District's ONE TOWN CENTRE by Westgroup Properties! Be at the centre of it all, a vibrant Town Centre public plaza, an eclectic mix of shops, eateries & everyday urban essential, just steps from the Fraser River offering ample opportunities to explore the shoreline, w/bike and walking paths. This eco-friendly 2 Bedroom + 2 Bathroom +Flex unit with HUGE BALCONY is SOUTH facing, TONS of light & overlooks Garden + corridor views of the WATER. Perfectly laid out w/ separate BR & open layout kitchen, this is a gem for entertaining. Extend your living to CLUB CENTRAL featuring 14,000 square feet of amenities including gym, pool, hot tub, sauna, steam room, yoga/dance studio, squash, basketball court, social lounge & more! 1 parking & 1 locker included. VIEWS! VIEWS! VIEWS! Don’t miss this RARELY available, UNOBSTRUCTED West facing 1 BR + Den with Balcony in the highly coveted Wall Centre False Creek. HIGHEST FLOOR of this floorplan. Fall in love with the professional grade chef’s kitchen with Viking/Blomberg stainless steel appliances, beautiful stone counters & luxurious baths. 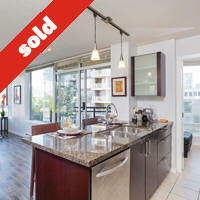 Lots of natural light & perfectly situated to take in breathtaking sunsets overlooking the Downtown skyline & False Creek! Be the envy of all in this fabulous location – minutes from Downtown, steps to Olympic Village, walking distance to both the Canada & Expo Skytrain Line & Seawall. Building amenities include caretaker, gym, meeting room, lounge, gardens & plenty of visitor pkg. 1 Parking Stall and Locker. Welcome to ALTO – The HEIGHT of Living. 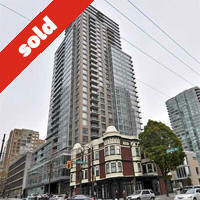 This CORNER 2 Bedroom/2 Bathroom + Den & Flex home offers OVERHEIGHT 10’ ceilings & TONS of windows. Thoughtfully designed open living spaces with the bedrooms separately located, offering privacy & flow. Upgraded electric blinds will effortlessly open to reveal a vibrant city view also enjoyed from the 100+ square foot balcony. Chef’s kitchen with lots of polished stone counter space, full height cabinets for pantry storage also featuring full size stainless steel appliance packages with an upgraded dishwasher. Building offers additional space for entertaining guests & summer parties on 7th floor patio with BBQ or game nights in the 3rd floor lounge. 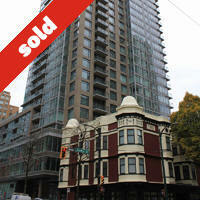 Prime location in Downtown Vancouver! 1 parking with plenty of visitor parking & underground storage locker included. Welcome to Wall Centre Central Park Tower 3 (The FINAL TOWER) – BRAND NEW North facing 1 Bedroom suite with HUGE DEN & FLEX. 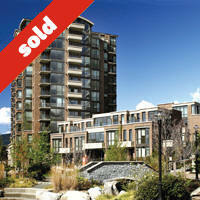 Spacious bedroom, open design kitchen, balcony overlooking peekaboo mountain views, and GST PAID! Designed to meet LEED Gold Standards by award-winning GBL Architects featuring floor to ceiling windows, cocoa wood-tone laminate floors, shaker-style cabinetry, quartz/marble counters & stainless steel appliances (gas range). World Class Amenities include: visitors parking, fitness center, party room, meeting rooms, caretaker & rooftop garden plots. ONE PARKING STALL INCLUDED! CONVENIENTLY LOCATED just minutes from transit, parks and shopping/dining. ALL THAT’S MISSING IS YOU! BEST PRICE AT WOODWARDS! Be bold or move to Suburbia - WOODWARDS! Gastown's landmark property is waiting for you to call it home. A masterpiece in design - from architecture to planning, this unique building is one-of-a-kind. Completely functional and rectangular layout flows well and features bathroom with separate tub and shower. EAST facing home with WATER and CITY VIEWS. Featuring funky engineered wood floors, polished concrete ceilings, stainless steel appliances, stone countertops, designer doors&tiles. Amenities are unsurpassed: Club W is an indoor/outdoor lounging oasis-library, media room, hot tub, gardens, gym, lounge space & so much more! Use of one parking included! Strata inc steam heat & internet. Welcome to Wall Centre Central Park-LIKE NEW North West Corner suite with HUGE BALCONY(gas/water bibs) quiet mountain views overlooking the Park. TWO PARKING& STORAGE LOCKER INCLUDED. Perfectly laid out 2 BEDROOM+2 BATHROOM + FLEX home. Bedrooms are Separated & both have access to their own beautifully designed ensuite with upgraded shower and big walk in closet too! Designed to meet LEED Gold Standards by award-winning GBL Architects featuring floor to ceiling windows, cocoa wood-tone laminate floors, shaker-style cabinetry, quartz/marble counters & stainless steel appliances (gas range). World Class Amenities incl: fitness centre, 60-foot lap pool, hot tub spa, meeting rooms, caretaker&rooftop garden plots. ALL THAT'S MISSING IS YOU! 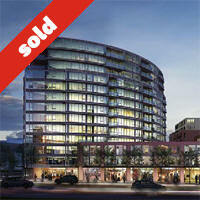 Welcome to the SOLD OUT Independent on Main - Located in the heart of Mount Pleasant, a highly walkable neighbourhood, steps from Main Street’s vibrant shopping, trendy dining & close to major public transit routes. This Northeast facing Junior 2 Bedroom offers modern interiors including custom millwork, state of the art hydronic heating & cooling system, laminate flooring throughout & a custom designed RizeModular storage solution. 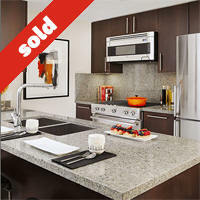 Kitchens include Italian cabinetry, stainless steel appliance package with Porter & Charles induction cooktops. Amenities include access to one of the largest private parks in Vancouver - a 20,000 sf “backyard” with BBQ’s, gardens, children play area & space for the dogs. Inside there is a 3,300 sq ft space with fitness room, workshop, lounge, and dog spa area. 1 parking & storage locker included. Assignment of Contract. Completion Spring 2018. Welcome to Wall Centre Central Park-LIKE NEW North East Corner suite with HUGE BALCONY and quiet Mountain Views overlooking the Park. Perfectly laid out 2 Bedroom, 2 Bathroom +FLEX home. 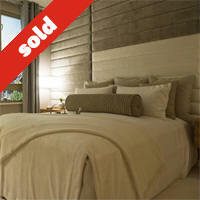 Bedrooms are Separated & both have access to their own beautifully designed ensuite. BONUS: Master Bedroom has a big walk in closet too! Designed to meet LEED Gold Standards by award-winning GBL Architects featuring floor to ceiling windows, cocoa wood-tone laminate floors, shaker-style cabinetry, quartz/marble counters & parking included. Mandarin Residences in Richmond City Centre - Never Lived In/New Upper Level North facing home featuring beautiful mountain & city views with direct access to Richmond-Brighouse skytrain Station at your doorstep. Perfectly laid out 2 bedroom + 2 bath + balcony. Bedrooms are separated & both have access to their own beautifully designed ensuite. Bonus: Master has a big walk in closet & double vanity ensuite! Classic elegance inspired by global luxury hotels designed to meet LEED Silver with engineered laminate wood floors, Porter & Charles stainless steel appliances (gas range) + Fisher/Paykel fridge. Amenities include: fitness centre, clubhouse, caretaker & rooftop terrace w/garden plots. All that's missing is you! 1 parking incl. Open Houses Mar 10/11 2-4pm. RARE 1 bedroom plus DEN CORNER unit with completely obstructed views for days on one of the EXECUTIVE floors of Wall Centre Central Park’s highly coveted last tower. This Southwest exposed home is designed to meet LEED Gold Standards by award-winning gBL Architects featuring floor to ceiling windows, cocoa wood-tone laminate floors, shaker-style cabinetry, quartz/marble counters, and stainless steel appliances (gas range). Amenities include: fitness centre, 60-foot lap pool, hot tub spa, meeting rooms, caretaker and lush garden space. Prime location in VANCOUVER’s Collingwood neighbourhood, just steps from Skytrain, bus and the natural wonders of Central Park. 1 parking and storage locker included. Assignment of contract. Completion Spring 2018. Vancouver is at your doorstep at THE SOLD OUT Strathcona Village with Downtown, Gastown, Chinatown, East Village and Commercial Drive within walking distance. This bright Southwest facing 2 Bedroom offers a fantastic floorplan with plenty of windows, balcony, and city views. 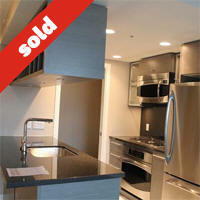 Chef’s will love the open gourmet kitchen with a stainless steel appliance package and Sonetto double sink. Relax in the spa like bath with contemporary soaker tub and quartz-composite stone counter vanity. Amenities include landscaped rooftop gardens, meeting rooms and fitness center. Walk to the upcoming 12,000 Strathcona Public library, Commercial Drive, Chinatown, East Village and Downtown. Includes 1 parking stall and a locker. Extra large decorating allowance. Call today for more information on this assignment. Completion Spring 2018. We have the neighbourhood. We have the park. We have the views. We have the shopping. We have the transit. ALL THAT'S MISSING IS YOU. Wall Centre Central Park. Relax, exercise, work and play - building homes and building balance lives. Wall Financial does it again. An assortment of 1 and 2-Bedroom homes designed to meet LEED Gold Standards by award-winning gBL Architects featuring floor-to-ceiling windows, cocoa-wood tone laminate floors, shaker-style cabinetry, quartz/marble counters and stainless steel appliances (gas range). Amenities include: fitness centre, 60- lap-pool, jacuzzi spa, meeting rooms, caretaker & lush garden space. 1 parking included. Assignment of contract. Completion Spring 2018. Vancouver is at your doorstep at THE SOLD OUT Strathcona Village with Downtown, Gastown, Chinatown, East Village and Commercial Drive within walking distance. BEST 1 BEDROOM IN THE COMPLEX! This bright PENTHOUSE North facing 1 bedroom + Flex offers a fantastic floorplan with plenty of windows, balcony, over height ceilings and gorgeous UNOBSTUCTED views of the city/water and Northshore Mountains. Chef’s will love the open gourmet kitchen with a stainless steel appliance package and Sonetto double sink. Watch the ships go by on your over sized sundeck off the living room. Relax in the spa like bath with contemporary soaker tub and quartz-composite stone counter vanity. Amenities include landscaped rooftop gardens, meeting rooms and fitness center. Walk to the upcoming 12,000 Strathcona Public library, Commercial Drive, Chinatown, East Village and Downtown. Includes 1 parking stall. Call today for more information on this assignment. This is the ONE!! Estimated Completion Spring 2018. 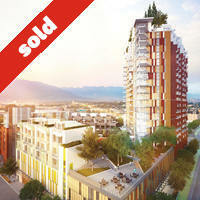 The Raymur at Strathcona Village - This is the one you’ve been waiting for! 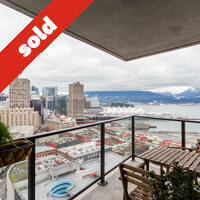 West facing SUBPENTHOUSE 1 Bedroom & flex & patio offering views of the WATER AND NORTH SHORE MOUNTAINS! This was the original display suite and most popular 1 Bedroom plan in the development. 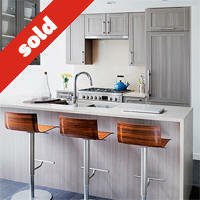 Chef’s will love the open gourmet kitchen with a stainless steel appliance package and Sonetto double sink. Watch the ships go by on your over sized sundeck off the living room. Relax in the spa like bath with contemporary soaker tub and quartz-composite stone counter vanity. Amenities include landscaped rooftop gardens, meeting rooms and fitness center. Walk to the upcoming 12,000 Strathcona Public library, Commercial Drive, Chinatown, East Village and Downtown. Includes 1 parking. Light Colour Scheme, Upgraded Laminate Flooring in Bedroom ($500). Call today for more information on this assignment. Estimated Completion Spring 2018. Welcome to Bayberry Park - Built by award winning builder Ledingham McAlister. This North/South facing 3 bedroom, 2.5 bathroom home is situated on the quiet side of the complex & offers a large living/dining room with a gourmet kitchen that incl. a gas stove & stainless steel appliances. Spacious patio off the kitchen perfect for bbqing with plenty of space for a table & chairs. Well kept by current owners with new carpets and paints. This home is in MOVE IN CONDITION. Double tandem garage offers space for 2 cars & storage. Bayberry Park is within walking distance to restaurants, schools, skytrain & Richmond Centre and offers its own garden courtyard. The Ballantyne at Strathcona Village - This is the one you’ve been waiting for! 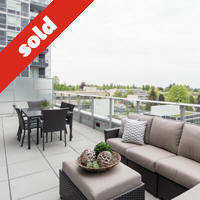 East facing 1 Bedroom & flex & patio offering courtyard views and views of the WATER AND NORTH SHORE MOUNTAINS! This was the original display suite and most popular 1 Bedroom plan in the development. 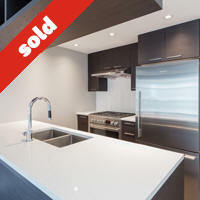 Chef’s will love the open gourmet kitchen with a stainless steel appliance package and Sonetto double sink. Watch the ships go by on your over sized sundeck off the living room. Relax in the spa like bath with contemporary soaker tub and quartz-composite stone counter vanity. Amenities include landscaped rooftop gardens, meeting rooms and fitness center. Walk to the upcoming 12,000 Strathcona Public library, Commercial Drive, Chinatown, East Village and Downtown. Includes 1 parking. Call today for more information on this assignment. Estimated Completion Spring 2018. Welcome to the “Jackson House” at Brentwood Gate – Quality built by Award Winning Ledingham McAllister in the heart of Brentwood. This South Facing 2 Bedroom offers an open layout with NO wasted space, separated bedrooms, cozy fireplace, and an oversized covered balcony perfect for BBQing year round. Kitchen offers Stainless Steel Whirlpool appliances & granite countertops perfect for any Chef. Parking & locker included! 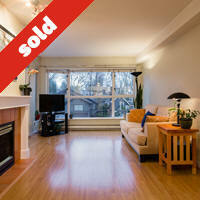 Unbelievable location steps to Brentwood Town Centre, skytrain, buses, Whole Foods, Costco, Schools & community centre. The Raymur at Strathcona Village - LARGE Southwest facing 1 Bedroom + Flex and Balcony with garden views. If you are looking for more living space and a bedroom large enough for a King size bed, this is the unit for you! 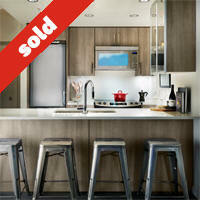 Chef’s will love the open gourmet kitchen with a stainless steel appliance package and Sonetto double sink. Relax in the spa like bath with contemporary soaker tub and quartz-composite stone counter vanity. Amenities include landscaped rooftop gardens, meeting rooms and fitness center. Walk to the upcoming 12,000 Strathcona Public library, Commercial Drive, Chinatown, East Village and Downtown. Includes 1 parking stall (non small parking stall!). Extra large credit at closing. Call today for more information on this assignment. Estimated Completion Sprig 2018. 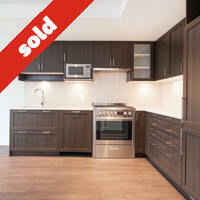 The Raymur at Strathcona Village - This is the one you’ve been waiting for! VERY RARE 3 BEDROOM 2 BATHROOM offering spacious living, plenty of light, and open views to the South! This is the largest unit in the building and one of only 2 - 3 Bedroom units. 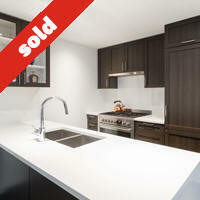 Chef’s will love the open gourmet kitchen with a stainless steel appliance package and Sonetto double sink. Watch the ships go by on your sundeck off the spacious living room and dining room. Relax in the spa like bath with contemporary soaker tub and quartz-composite stone counter vanity. Amenities include landscaped rooftop gardens, meeting rooms and fitness center. Walk to the upcoming 12,000 Strathcona Public library, Commercial Drive, Chinatown, East Village and Downtown. Includes 1 parking and 1 storage locker. Call today for more information on this assignment. This is the ONE!! Dark Colour Scheme. Upgraded Laminate Flooring in all 3 Bedrooms ($1500 Extra). Estimated Completion Spring 2018. 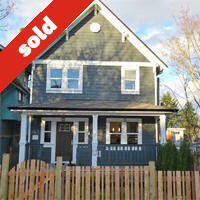 ​FULLY RENOVATED Stylish home situated on one of Edgemont's most desired streets! THIS 3 OVERSIZED Bedroom (can be 4) + Den with Air Conditioning is MOVE IN READY. Chef's kitchen offers high end appliances: Wolf Gas Range, Subzero fridge & Bosch DW. Beautiful refinished real wood flooring in living and dining room with a Solus Décor fireplace surround. Designer paint & high end fixtures throughout. No details has been spared! Suite potential in the basement with separate entrance. Entertain & relax in your perfectly manicured fully irrigated garden & flat backyard complete with a mini toy house custom built for the kids! Bonus EV charging station, new gutters & garage with plenty of storage. Sought after after Highlands (Rated top public elementary school over the past 5 years) and Handsworth school catchments. 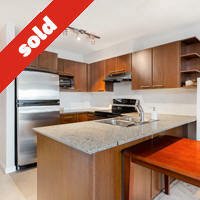 Unbeatable Location ​steps to ​​Edgemont Village, Delbrook Rec Centre & transit. TO SEE IS TO FALL IN LOVE. BUY NOW-MOVE IN NEXT YEAR! Neighbourhood. Park. Views. Shopping. Transit. ALL THAT'S MISSING IS YOU. This is the last phase in Vancouver's hottest new development, Wall Centre Central Park. Relax, exercise, work & play - Wall Financial does it again. This perfectly laid out 1BR+Enclosed Balcony (second BR or Den) & flex home with Balcony is designed to meet LEED Gold Standards by award-winning gBL Architects featuring floor to ceiling windows, cocoa wood-tone laminate floors, shaker-style cabinetry, quartz/marble counters, & stainless steel appliances (gas range). Amenities: fitness centre, 60-ft pool, hot tub, meeting rooms, caretaker & lush gardens. ASSIGNMENT OF SALE—estimated completion Early 2018. 1 parking on P2 by elevator & same flr locker included. Rentals/pets allowed! 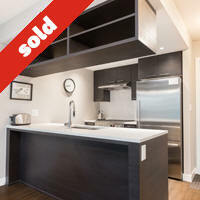 TOP FLOOR Bright Southeast facing renovated home in the heart of Kitsilano. This move in ready home offers spacious living room, separate dining room, bedroom large enough for king size bed & an oversized balcony perfect for soaking in the sun. Updates include flooring, kitchen, designer paint & window blinds. Well maintained building including newer boiler, upgraded elevator, repiped & new paint. Amazing location within walking distance to the beach & with Broadway just one block to the South, you have an abundance of shopping, dining & transit at your doorstep. Pet friendly building with no rental restrictions. One parking & storage locker included. ​Don't miss a RARE opportunity for this CORNER 2BED (separate bedrooms) PLUS 2BATH unit with Balcony & Laundry/Flex Room at the highly coveted Wall Centre False Creek . Inside you'll love the professional grade chef's kitchen with Viking/Blomberg Stainless Steel appliances, beautiful stone counters & luxurious bathrooms with floor to ceiling tiling. Tons of windows overlooking the rooftop gardens of the village! Be the envy of all in this fabulous location - minutess from Downtown & steps to amenities/shops at Olympic Village, Expo and Canada Line Skytrain, Cambie Corridor & Seawall. Rent a kayak, Aquabus or walk the Seawall to Granville Island, everything is within reach! Building boasts amenities include caretaker, gym, meeting room & lounge. 1 parking & 1 storage locker included. 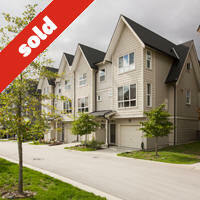 The Ballantyne at Strathcona Village - This is the one you’ve been waiting for! Northwest facing SUBPENTHOUSE 2 Bedroom & 2 Bathroom & 2 Balconies offering BREATHTAKING UNOBSTRUCTED DIRECT WATER AND NORTH SHORE MOUNTAIN VIEWS! 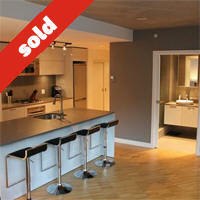 This was the original display suite and most popular 2 Bedroom plan in the development. Chef’s will love the open gourmet kitchen with a stainless steel appliance package and Sonetto double sink. Watch the ships go by on your over sized sundeck off the living room. Relax in the spa like bath with contemporary soaker tub and quartz-composite stone counter vanity. Amenities include landscaped rooftop gardens, meeting rooms and fitness center. Walk to the upcoming 12,000 Strathcona Public library, Commercial Drive, Chinatown, East Village and Downtown. Includes 1 parking and 1 storage locker. Call today for more information on this assignment. This is the ONE!Estimated Completion Late 2017. View and Location! This lovingly maintained 3 Bedroom plus Den (Possible 4th Bedroom) home with detached garage is located on a beautiful & serene tree lined street in the coveted Quilchena neighbourhood. Sturdily built with low maintenance concrete siding and its ready to move into with freshly updated kitchen, new paint/carpet and refinished wood floors. Bright and airy with tons of light Perfectly designed for entertaining with open flowing spaces and ample outdoor space to enjoy the private back garden or take in the panoramic mountain/water views from the rooftop deck (Bonus wine storage in the basement too!) School Catchment: Quilchena Elementary/Point Grey Secondary and close to St Georges/Crofton House. Vancouver is at your doorstep at THE SOLD OUT Strathcona Village with Downtown, Gastown, Chinatown, East Village and Commercial Drive within walking distance. This bright North facing 1 bedroom + Flex a fantastic floorplan with plenty of windows, balcony and gorgeous UNOBSTRUCTED views of the city/water and Northshore Mountains. 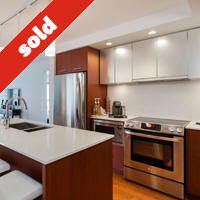 Chef’s will love the open gourmet kitchen with a stainless steel appliance package and Sonetto double sink. Watch the ships go by on your over sized sundeck off the living room. Relax in the spa like bath with contemporary soaker tub and quartz-composite stone counter vanity. Amenities include landscaped rooftop gardens, meeting rooms and fitness center. Walk to the upcoming 12,000 Strathcona Public library, Commercial Drive, Chinatown, East Village and Downtown. Includes 1 parking stall. Call today for more information on this assignment. This is the ONE!! Estimated Completion Late 2017. THIS IS IT! 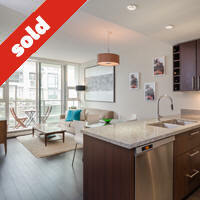 The spacious & perfectly laid out 1 Bedroom + Den & Flex at The Village at False Creek you’ve been waiting for. Tons of insuite storage, HUGE 110 sf balcony & lots of sunlight in this West facing home overlooking the meticulously manicured courtyard. The best of the best only here – European Eggersman cabinetry, stainless steel Miele appliance package & SubZero fridge, heating/cooling for comfortable living & over height ceilings throughout. 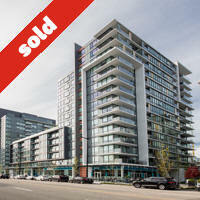 This LEED certified building located in the heart of the waterfront Olympic Village neighborhood is the place to live. Residents have exclusive access to the Gold Medal Club - indoor pool, hot tub, infrared sauna & steam rm. Private party room and exercise room in the building as well! 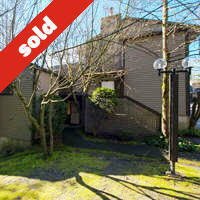 Fantastic location steps away from restaurants, shopping, seawall & transit. 1 Parking Stall and Storage Locker included as well. Vancouver is at your doorstep at THE SOLD OUT Strathcona Village with Downtown, Gastown, Chinatown, East Village and Commercial Drive within walking distance. This bright SUBPENTHOUSE North facing 1 bedroom + Flex a fantastic floorplan with plenty of windows, balcony and gorgeous UNOBSTRUCTED views of the city/water and Northshore Mountains. 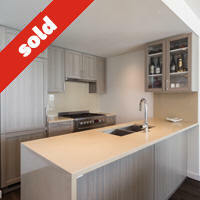 Chef’s will love the open gourmet kitchen with a stainless steel appliance package and Sonetto double sink. Watch the ships go by on your over sized sundeck off the living room. Relax in the spa like bath with contemporary soaker tub and quartz-composite stone counter vanity. Amenities include landscaped rooftop gardens, meeting rooms and fitness center. Walk to the upcoming 12,000 Strathcona Public library, Commercial Drive, Chinatown, East Village and Downtown. Includes 1 parking stall. Call today for more information on this assignment. This is the ONE!! Estimated Completion Late 2017. Vancouver is at your doorstep at THE SOLD OUT Strathcona Village with Downtown, Gastown, Chinatown, East Village and Commercial Drive within walking distance. This bright South facing 1 bedroom offers a fantastic floorplan, open city views and a balcony. Strathcona Village homes is designed by award-winning gBL Architects. With airy living spaces, slick kitchens, spa-like bathrooms and spacious outdoor patios and decks, owning at Strathcona is smart & easy. Amenities include: fitness centers meeting rooms, caretakers, EV charging, bike lockers, and lush rooftop gardens. 1 parking and a STORAGE LOCKER included. Assignment of Contract. Completion estimated Late of 2017. We have the neighbourhood. We have the park. We have the views. We have the shopping. We have the transit. ALL THAT'S MISSING IS YOU. Wall Centre Central Park. Relax, exercise, work and play - building homes and building balance lives. Wall Financial does it again. An assortment of 1 and 2-Bedroom homes designed to meet LEED Gold Standards by award-winning gBL Architects featuring floor-to-ceiling windows, cocoa-wood tone laminate floors, shaker-style cabinetry, quartz/marble counters and stainless steel appliances (gas range). Amenities include: fitness centre, 60- lap-pool, jacuzzi spa, meeting rooms, caretaker & lush garden space. 1 parking included. Assignment of contract. Completion Spring 2017. 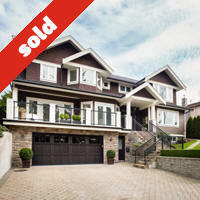 The Ballantyne at Strathcona Village - This is the one you’ve been waiting for! Northwest facing 2 Bedroom & 2 Bathroom + Enclosed Balcony offering BREATHTAKING UNOBSTRUCTED DIRECT WATER AND NORTH SHORE MOUNTAIN VIEWS! This was the original display suite and most popular 2 Bedroom plan in the development. 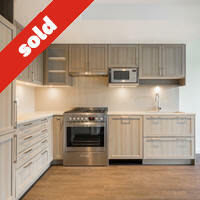 Chef’s will love the open gourmet kitchen with a stainless steel appliance package and Sonetto double sink. Watch the ships go by on your over sized sundeck off the living room. Relax in the spa like bath with contemporary soaker tub and quartz-composite stone counter vanity. Amenities include landscaped rooftop gardens, meeting rooms and fitness center. Walk to the upcoming 12,000 Strathcona Public library, Commercial Drive, Chinatown, East Village and Downtown. Includes 1 parking and 1 storage locker. Call today for more information on this assignment. This is the ONE!! Estimated Completion Late 2017. The Ballantyne at Strathcona Village - This is the one you’ve been waiting for! 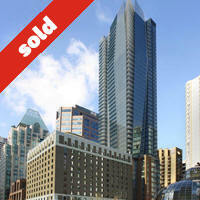 North facing 1 Bedroom & Flex offering BREATHTAKING UNOBSTRUCTED DIRECT WATER AND NORTH SHORE MOUNTAIN VIEWS! 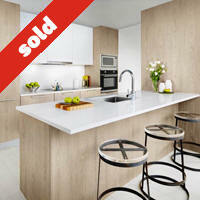 Chef’s will love the open gourmet kitchen with a stainless steel appliance package and Sonetto double sink. Watch the ships go by on your balcony off the living room. Relax in the spa like bath with contemporary soaker tub and quartz-composite stone counter vanity. Amenities include landscaped rooftop gardens, meeting rooms and fitness center. Walk to the upcoming 12,000 Strathcona Public library, Commercial Drive, Chinatown, East Village and Downtown. Includes 1 parking. Call today for more information on this assignment. This is the ONE!! Estimated Completion Late 2017. Vancouver is at your doorstep at THE SOLD OUT Strathcona Village with Downtown, Gastown, Chinatown, East Village and Commercial Drive within walking distance. This West facing 1 bedroom + Flex offers a fantastic floorplan with plenty of windows, balcony and corridor views of the water and mountains. 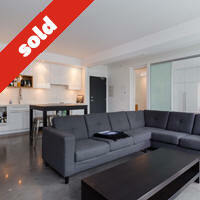 This suite was the original floorplan in the sales centre and was the best selling one bedroom in the complex. Strathcona Village homes is designed by award-winning gBL Architects. With airy living spaces, slick kitchens, spa-like bathrooms and spacious outdoor patios and decks, owning at Strathcona is smart & easy. Amenities include: fitness centers meeting rooms, caretakers, EV charging, bike lockers, and lush rooftop gardens. 1 parking. Assignment of Contract. Completion estimated Fall to end of 2017. 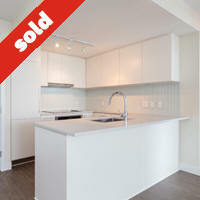 The Heatley at Strathcona Village - This is the one you’ve been waiting for! 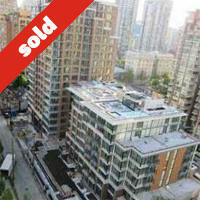 North facing 1 Bedroom + Flex offering BREATHTAKING UNOBSTRUCTED DIRECT WATER AND NORTH SHORE MOUNTAIN VIEWS! Chef’s will love the open gourmet kitchen with a stainless steel appliance package and Sonetto double sink. Watch the ships go by on your sundeck off the living room and dining room. Relax in the spa like bath with contemporary soaker tub and quartz-composite stone counter vanity. Amenities include landscaped rooftop gardens, meeting rooms and fitness center. Walk to the upcoming 12,000 Strathcona Public library, Commercial Drive, Chinatown, East Village and Downtown. Includes 1 parking and 1 storage locker. Bonus laminate flooring in the bedroom included. Call today for more information on this assignment. This is the ONE!! Estimated Completion Fall of 2017. 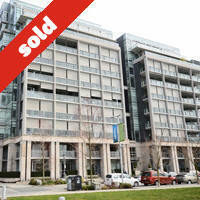 HERE'S YOUR CHANCE TO OWN IN ENGLISH BAY! This CONCRETE 1 BR with open layout open layout and balcony is the perfect stepping stone into the Vancouver real estate market as your first home or investment. 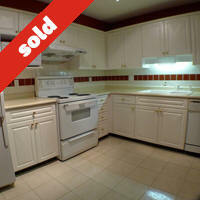 Well kept home in original condition with lots of opportunity to bring in your own design ideas to update the suite. 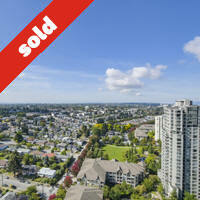 LIFESTYLE: Just steps from the beach, shops and dining of Denman and Davie Street. The building has TONS of amenities including a heated indoor pool, sauna, and onsite building manager. 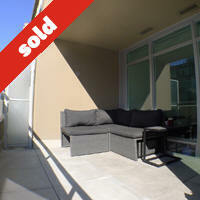 Great return on investment as a rental unit - RENTALS ALLOWED! 1 parking and 1 storage locker included. Maintenance fees include city property taxes and the pro-active building will be commencing a project to upgrade various components. The Ballantyne at Strathcona Village - This is the one you’ve been waiting for! Watch the sunrise from this rare North facing 1 Bedroom offering unbelievable BREATHTAKING DIRECT WATER AND NORTH SHORE MOUNTAIN VIEWS! 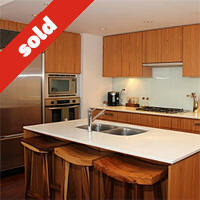 Chef’s will love the open gourmet kitchen with a stainless steel appliance package and Sonetto double sink. Watch the ships go by on your sundeck off the spacious living room and dining room. Relax in the spa like bath with contemporary soaker tub and quartz-composite stone counter vanity. Amenities include landscaped rooftop gardens, meeting rooms and fitness center. Walk to the upcoming 12,000 Strathcona Public library, Commercial Drive, Chinatown, East Village and Downtown. Includes 1 parking and 1 storage locker. Call today for more information on this assignment. This is the ONE!! Estimated Completion Fall of 2017. Vancouver is at your doorstep at THE SOLD OUT Strathcona Village with Downtown, Gastown, Chinatown, East Village and Commercial Drive within walking distance. This bright PENTHOUSE West facing 1 bedroom + Flex offers higher ceilings only found on the PH level, a fantastic floorplan with plenty of windows, balcony and gorgeous UNOBSTRUCTED views of the city/water and Northshore Mountains. Strathcona Village homes is designed by award-winning gBL Architects. With airy living spaces, slick kitchens, spa-like bathrooms and spacious outdoor patios and decks, owning at Strathcona is smart & easy. Amenities include: fitness centers meeting rooms, caretakers, EV charging, bike lockers, and lush rooftop gardens. 1 parking stall included. Assignment of Contract. Completion estimated Fall of 2017. Vancouver is at your doorstep at THE SOLD OUT Strathcona Village with Downtown, Gastown, Chinatown, East Village and Commercial Drive within walking distance. This bright West facing 1 bedroom + Flex offers a fantastic floorplan with plenty of windows, balcony and gorgeous views of the city/water and Northshore Mountains . Strathcona Village homes is designed by award-winning gBL Architects. With airy living spaces, slick kitchens, spa-like bathrooms and spacious outdoor patios and decks, owning at Strathcona is smart & easy. Amenities include: fitness centers meeting rooms, caretakers, EV charging, bike lockers, and lush rooftop gardens. 1 parking stall included. Assignment of Contract. Completion estimated Fall of 2017. Vancouver is at your doorstep at THE SOLD OUT Strathcona Village with Downtown, Gastown, Chinatown, East Village and Commercial Drive within walking distance. This SUBPENTHOUSE bright South facing 1 bedroom offers a fantastic floorplan, open city views and a balcony. Strathcona Village homes is designed by award-winning gBL Architects. With airy living spaces, slick kitchens, spa-like bathrooms and spacious outdoor patios and decks, owning at Strathcona is smart & easy. Amenities include: fitness centers meeting rooms, caretakers, EV charging, bike lockers, and lush rooftop gardens. 1 parking and a STORAGE LOCKER. Assignment of Contract. Note the extra large credit at closing! Completion estimated Fall of 2017. Vancouver is at your doorstep at THE SOLD OUT Strathcona Village with Downtown, Gastown, Chinatown, East Village and Commercial Drive within walking distance. THE MOST SOUGHT AFTER UNIT AT STRATHCONA VILLAGE: Northwest corer 2 Bedroom 2 Bathroom with UNOBSTRUCTED view of the water with the Northshore mountains behind. This is the original display suite home with a fantastic floorplan, plenty of windows, separated bedrooms and a bonus 2 balconies! Strathcona Village homes is designed by award-winning gBL Architects. With airy living spaces, slick kitchens, spa-like bathrooms and spacious outdoor patios and decks, owning at Strathcona is smart & easy. Amenities include: fitness centers meeting rooms, caretakers, EV charging, bike lockers, and lush rooftop gardens. Home comes with 2 parking stalls (2nd stall is an additional $25,000 as per contract) and a storage locker included. Assignment of Contract. Completion estimated Fall of 2017. 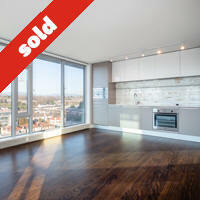 Welcome to the highly anticipated Heatley at Strathcona Village! This gorgeous 1 Bedroom is perfectly laid out. The horizontal plan maximizes on large windows across the entire home allowing plenty of natural sunlight. Enjoy the peace and quiet from this home or your private balcony with angled sparkling views of the water. This home has been tastefully finished with upgraded rich dark laminate flooring in the living room and bedroom. 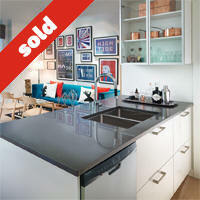 Open kitchen with stainless steel appliance package and Sonetto double sink. Spa like bath with soaker tub and quartz-composite stone counter vanity. Amenities include landscaped rooftop gardens, meeting rooms and a fitness center. Walk to the upcoming 12,000 Strathcona Public library, Commercial Drive, Chinatown, East Village and Downtown. Includes 1 parking stall and 1 storage locker. Completion estimated 2017. This highly desirable 2 Lvl 2 BR/2 Bath townhouse at the coveted VILLETTA complex in Burnaby's convenient Highgate neighbourhood has so much to offer. The open main level floorplan is perfect for entertaining w/ the spacious kitchen flowing onto the ample dining/living room space + balcony. Easy cleaning w/ upgraded laminate flooring, windows on both ends for good air flow & an electric fireplace for nice cozy ambiance. Upstairs, the 2 bedrooms are separated and tucked away for privacy from guests. The proactive & meticulous strata formed of long time members who lovingly care for the building. Depreciation report available. 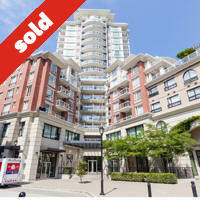 STEPS from Skytrain, shopping & dining. 1 parking/1 storage. ABERDEEN RESIDENCE - luxury concrete living in the centre of Richmond - plentiful dining and shopping of Aberdeen Centre and direct Canada Line access right at your footsteps! This HUGE 1 bedroom and den unit (large enough to be 2BR with 2 bathrooms) is QUIET and BRIGHT (Southn facing). The home features contemporary wood flooring, specialty window systems for UV protection and sound reduction, 9 ft ceilings, state of the art chef's kitchen (Sub-Zero/Bosch appliances), air conditioning and tons of upgrades (lots of built in storage throughout and murphy bed in den). Building amenities include concierge and fitness facilities. ONE parking included too! Welcome to “Metroliving” – Townline’s Concrete Boutique building on the Heritage Block of Crosstown that you’ve been waiting for! This Rarely Available 1 bedroom + den/flex with beautiful bamboo hardwood offers an open concept floor plan with no wasted space, OVERHEIGHT CEILINGS, large windows, big closets, bright yet very private covered large balcony with city & peek-a-boo mountain views on the quiet side of the building. Chef’s kitchen with stainless steel Bosch gas stove, microwave, dishwasher & LG fridge is perfect for hosting dinner parties. 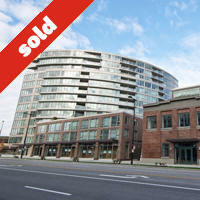 Building includes Parking, Gym, Zen garden with outdoor fireplace & even a dog wash station. 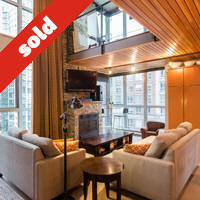 Steps away from the Skytrain & the most trendiest restaurants in Gastown, Yaletown, & Downtown. Style? View? Location? The boutique live/work concrete homes at Loft 495 has it all! 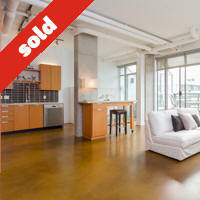 Contemporary style open concept loft with polished concrete floors & soaring exposed ceilings. Chef's kitchen offers a stainless steel gas stove & top of the line Bosch & Fisher Paykel appliances, stone countertops & wood cabinets. Two built in Murphy beds, storage room, den & balcony offers ample space for a single person or a couple. Views? Panoramic spectacular 180 degree views of downtown/mountain. Loft 495 offers a meeting room, workshop & a roof top patio with gardens & BBQ & visitor parking. Parking & Storage also included. Location? Can't beat it! 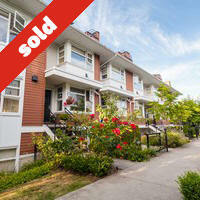 Situated on the vibrant Cambie Corridor with shopping, restaurants, seawall and the Canada Line just steps away. Vancouver is at your doorstep at THE SOLD OUT Strathcona Village with Downtown, Gastown, Chinatown, East Village and Commercial Drive within walking distance. This SUBPENTHOUSE bright East facing 1 bedroom + Flex offers a fantastic floorplan with plenty of windows, water and mountain views and a balcony. 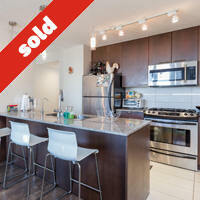 This suite was the original floorplan in the sales centre and was the best selling one bedroom in the complex. Strathcona Village homes is designed by award-winning gBL Architects. With airy living spaces, slick kitchens, spa-like bathrooms and spacious outdoor patios and decks, owning at Strathcona is smart & easy. Amenities include: fitness centers meeting rooms, caretakers, EV charging, bike lockers, and lush rooftop gardens. 1 parking. Assignment of Contract. Completion estimated Fall of 2017. We have the views. We have the shopping. We have the transit. ALL THAT'S MISSING IS YOU! Wall Centre Central Park. Stunning towers designed to meet LEED Gold Standards by award-winning gBL Architects featuring floor to ceiling windows, cocoa wood-stone laminate floors, shaker-style cabinetry, quartz/marble counters, and stainless steel appliances (gas range). This West facing home facing the QUIET side is the display suite floor plan, perfectly laid out to maximize space. Open city views w/nothing directly in front of your. Amenities include: fitness centre, 60-foot lap pool, hot tub, meeting rooms, caretaker & lush garden space. 1 parking/1 storage locker included. Completion: Spring 2017. Welcome to ACQUA by Bosa Properties! This BRIGHT 1 bedroom unit is perfect for investors and/or first time home buyers! Features include stainless steel appliances with gas cooktop, granite countertops & insuite laundry. Faces the quiet side away from the Skytrain overlooking the garden. Fantastic floor plan with large living area, double entrance to bathroom, laundry room, balcony, upgraded flooring and paint. Amenities include 24-hour concierge, visitor parking, lounge, outdoor pool, steam room and a fully equipped exercise centre. 1 parking + 1 storage included. Excellent location just steps from the Skytrain, PriceSmart, Lansdowne Mall, Richmond Centre & your choice of AMAZING restaurants! Welcome to the Mandarin Residences - Two 16-storey towers boast quality concrete & glass construction offering luxurious finishings & an unsurpassed location on top of the Canada Line Station. Chef's kitchen equipped with a deluxe Stainless Steel Fisher & Paykel refrigerator & a Porter & Charles 5 burner gas cooktop & luxurious quartz counters. Your perfectly laid out corner 2 bedroom offers separated bedrooms and a large balcony overlooking the quiet side of the building away from No 3 Road. Building offers exercise facility, meeting room, garden and guest suite. Located in the heart of Richmond's city centre you are steps away from restaurants, shopping, the Canada line and transit. Assignment of Contract. Completion estimated September 2016. Welcome to Vancouver's exciting RIVER DISTRICT community. This spacious 1 bedroom home features an open layout facing South towards the courtyard over looking the central water feature and peeps of Fraser River. Big bedroom with walk-in-closet, TONS of storage, stainless steel appliances, laminate flooring, makes this the perfect place to call home. Your pet is welcome here with plenty of riverside trails to enjoy on those wonderful walks, steps to the river, farmer's market, community centre with the River District Master Planned community under construction just down the road. Amenities include gym, bike room, clubhouse, workshops, visitors parking & guest suite. Solid RAIN SCREENED building, newer roof, and plumbing levy already approved plus depreciation report available. Welcome to the Mandarin Residences - Two 16-storey towers boast quality concrete & glass construction offering luxurious finishings & an unsurpassed location on top of the Canada Line Station. Chef's kitchen equipped with a deluxe Stainless Steel Fisher & Paykel refrigerator & a Porter & Charles 5 burner gas cooktop & luxurious quartz counters. Your perfectly laid out 2 bdrm offers separated bedrooms, office, upgraded lighting in the bedrooms, large balcony and overlooking the quiet side of the building away from No 3 Road. Building offers exercise facility, meeting room, garden and guest suite. Located in the heart of Richmond's city centre you are steps away from restaurants, shopping, the Canada line and transit. Assignment of Contract. Completion estimated July 2016. 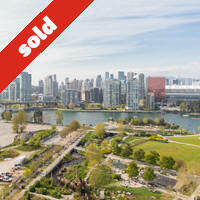 Your chance to buy into the highly coveted Southeast False Creek neighbourhood. This perfectly laid out REAL 1 bedroom plus big flex and BRIGHT DEN is a one of a kind floorplan with open NW downtown & garden views & HUGE balcony. Stainless steel appliances, beautiful laminate floors & meticulously selected materials throughout. Open concept kitchen leads to a flowing entertainment space w/separate dining & living areas. Amenities include: gym, party lounge & concierge. Resting at the edge of downtown, balanced along a line of urban & natural beauty. Close to an assortment of urban nature, daily adventures accessible by foot, bike or the nearby Canada Line steps away & water taxi. 1 parking/1 storage included. Vancouver is at your doorstep at THE SOLD OUT Strathcona Village with Downtown, Gastown, Chinatown, East Village and Commercial Drive within walking distance. This bright CORNER Southwest facing 1 bedroom offers a fantastic floorplan with plenty of windows, open city views and a balcony. Strathcona Village homes is designed by award-winning gBL Architects. With airy living spaces, slick kitchens, spa-like bathrooms and spacious outdoor patios and decks, owning at Strathcona is smart & easy. Amenities include: fitness centers meeting rooms, caretakers, EV charging, bike lockers, and lush rooftop gardens. 1 parking and a EXTRA STORAGE LOCKER. Assignment of Contract. Completion estimated Fall of 2017. 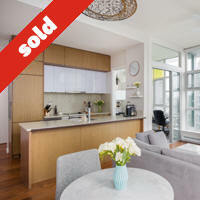 A life of luxury soaring 34 floors above Yaletown & Robson Street - the centre of it all. This sunny & open Southeast facing corner 2 Bedroom, 2 Bath + Flex room is perfectly laid out with separated bedrooms & fantastic views of Yaletown. Open your door to hardwood & tile flooring & a gourmet chef's kitchen complete with oversized stone countertop, stainless steel premium appliances, bar pendant lighting & high quality modern shaker cabinetry. Spa-like baths offering rich stone countertops, under mount designer square sinks, custom medicine cabinets & full height ceramic tub surround. Unit features upgraded custom organizers, wallpaper & custom doors. Perfectly balanced beauty, style & functionality: 24 hr concierge, fitness centre, party lounge & garden. 1 parking & storage included. The one you've been waiting for - this modern 1 Bedroom loft w/ a luxuriously large & open living area opening onto a huge (325 sq ft) South facing quiet patio is the place to call home. This unique unit is functionally laid out with no wasted space & features cheater ensuite bathroom, overheight ceilings, sleek kitchen & polished concrete flooring. Upgraded Miele dishwasher, designer kitchen fixture & new paint. 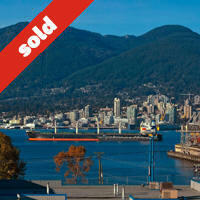 Jacobsen is Intracorp's master crafted gem located in the artist community of the False Creek Flats. Building amenities: fully equipped gym, communal outdoor space, stylish lounge, workshop & visitors parking. 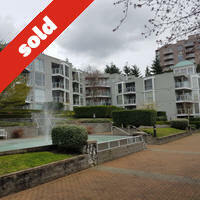 Walking distance to the seawall, transit, shops and bike routes. 1 parking and storage included. Welcome to King Edward Village! Rarely available perfectly laid out spacious TOP FLOOR 1 bedroom plus flex unit and cheater ensuite bathroom with OVERHEIGHT CEILINGS located on the quiet side of the building facing the green courtyard. This bright open one bedroom + flex floorplan features tons of storage & a large living area plus balcony perfect for entertaining & BBQing. Open concept plan with an island kitchen with granite countertops, eating bar with Fridgidaire appliances and laminate flooring. Great location: 15 minutes to Richmond, Downtown Vancouver & Metrotown with Save On Foods, Vancouver Library, TD Bank & many great restaurants downstairs! 1 parking & 1 storage included. Welcome to Arbutus West Terrace, perfectly located on the tree lined streets of Vancouver West Side's Arbutus Walk neighbourhood. This spacious and bright South facing 1 bedroom end unit has been well cared for with upgraded laminate flooring, blinds and light fixtures. The open and practical floorplan offers a large bedroom with cheater ensuite, home office, flexible living area flowing onto a sunny private balcony. Your home faces the quiet side of the building, away from West 12th. Building is well maintained with a proactive strata council meticulously. This home also includes 1 large parking stall and 1 full height storage locker plus visitor's parking. Centrally located for maximum accessibility to shopping, dining, transportation, parks and schools. The Independent - located in the heart of Mount Pleasant, a highly walkable neighbourhood, steps from vibrant Main St, shopping, dining & major public transit routes (10 min walk to skytrain). This South facing 1 bedroom plus flex home offers a great open concept floorplan with a large 95 square foot balcony which faces the QUIET side of the building away from the major streets. Modern interiors include custom millwork wardrobes in entry & bedrooms, laminate flooring throughout, custom designed, crafted millwork Rize modular storage solution in many homes. Kitchens include Italian cabinetry, stainless steel appliance package with Porter & Charles induction cooktops. With a half acre 'backyard' and 3,300 sq ft of indoor amenity space, this will be a fabulous place to call home. Assignment of Contract. Estimated completion late 2017. Vancouver's Last Great Family Estate: Welcome to Shannon Wall Centre Kerrisdale. This rare one bedroom home offers an open layout, with a large private patio on the ground floor. 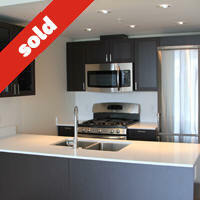 Beautiful kitchens with maximum functionality includes top of the line appliances, European cabinetry & quartz counters. Shannon is a one-of-a-kind property unlike any other in Vancouver. Amenities include the use of the heritage mansion – including the restored Drawing and Dining rooms, and the Great Hall and Conservatory. You’ll enjoy a fully equipped modern fitness centre with a luxurious lap pool. 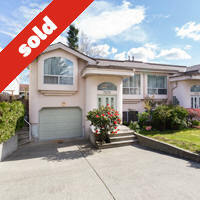 Fantastic school catchment, close to transit, downtown and the airport. Welcome to King Edward Village! Spacious 1 bedroom plus den located on the quiet side of the building facing the green courtyard. This bright open one bedroom + den floorplan features 642 square feet & a large balcony perfect for entertaining & BBQing. Open concept plan with an island kitchen with granite countertops, eating bar with Fridgidaire appliances. Laminate flooring in the living area with a separate dining room area. Great location: 15 minutes to Richmond, Downtown Vancouver & Metrotown with Price Smart Foods, Vancouver Library, TD Bank & many great restaurants downstairs! 1 parking & 1 storage included. Views, space and location! This heritage 2 level Gastown loft has is all: 18 feet ceilings; TWO bedrooms; TWO bathrooms; stunning North views of mountains, water and park; lots of insuite storage (big walk in closet! ), custom air filtration system; prime location close to shops/restaurants; and ONE underground parking stall. Perfectly designed for entertaining with soaring windows and light, flowing living area, and upstairs bedroom and bathroom for privacy. Common rooftop is fantastic for a breath of fresh air and summer entertaining. Welcome to the highly acclaimed Woodwards - Vancouver landmark property. Stunning, sweeping views of Burrard Inlet, Stanley Park, the snow capped North Shore Mountains & the luminous city lights from every room in this amazing Northwest Facing 2 bedroom + office + balcony home. Fantastic open floor plan with large living room & separate dining area & insuite storage space. Home offers engineered wood flooring, polished concrete ceilings, stainless steel appliances, stone countertops, designer doors & tiles. Amenities are unsurpassed: Rooftop Club W features indoor/outdoor lounging, oasis-library, media room, hot tub, gardens and a gym with stunning 360 degree views of the city. Tandem secured underground parking included. Vancouver is at your doorstep at THE SOLD OUT Strathcona Village with Downtown, Gastown, Chinatown, East Village and Commercial Drive within walking distance. This bright South facing 1 bedroom home offers open views, balcony and a great floorplan. Strathcona Village homes is designed by award-winning gBL Architects. With airy living spaces, slick kitchens, spa-like bathrooms and spacious outdoor patios and decks, owning at Strathcona is smart & easy. Amenities include: fitness centers meeting rooms, caretakers, EV charging, bike lockers, and lush rooftop gardens. 1 parking and BONUS storage locker included. Assignment of Contract. Completion estimated Fall of 2017. North Delta's most exclusive master planned community - welcome to Eclipse @ Sunstone by Polygon Homes! This lovingly maintained (original owner) 3BR/2.5Bath end unit town home is perfectly located within the complex with ultimate privacy overlooking green space on the front and open views on the back. Exceptional layout with bright and open floorplan living area (9'ceilings) on the main floor featuring a gourmet chef's kitchen separating the formal dining room/work space and living room plus a powder room for your guests. Tandem attached garage fits 2 full size cars and offers lots of storage plus 1 more car can fit on the driveway. Ample outdoor space in the front and back for your own use, and tons of other park space, playgrounds and the lake in the central green to share. The Sunstone Club House is the best of the best, with the swimming pool, hot tub, basketball court, gym, lounge, theatre, guest suite, and a full activity schedule. Location is key, just seconds from access Hwy 91 and plenty of community amenities. This dream home is perfect for families and down sizers alike who want worry free living! Welcome to the Trapp + Holbrook: New Westminster's newest development in the Historic Downtown District. This brand new UPPER FLOOR bright West facing 1 bedroom home offers SPECTACULAR CITY & WATER VIEWS of the Fraser River high above the surrounding buildings with an incredible wrap around balcony. 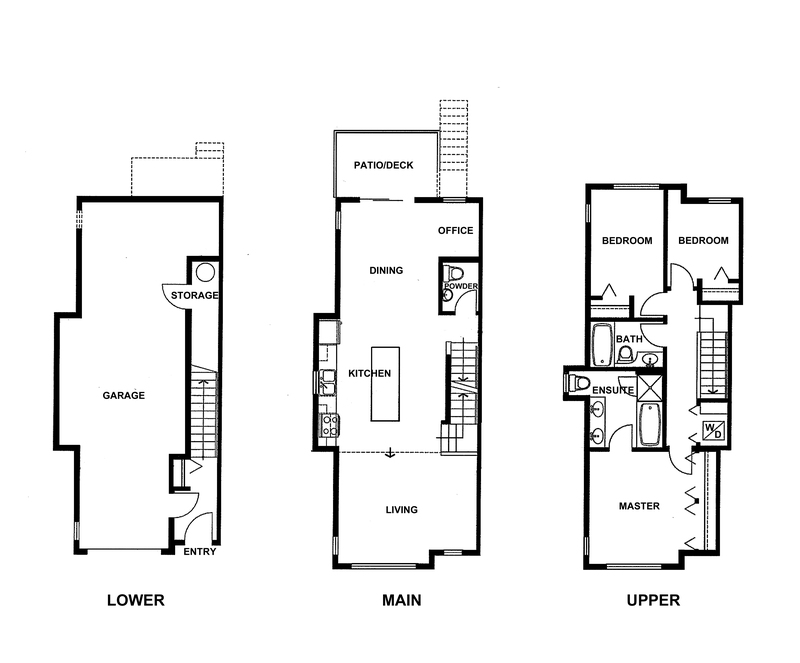 Highest floor with this great floorplan with overheight ceilings not found on the lower floors! Chefs kitchen with Kitchenaid/Blomberg appliances, quartzite counters & white matte soft close cabinetry. Great open concept floorplan with no wasted space & wide plank laminate flooring throughout. 1st class amenities include fitness facility, lounge, meeting room, outdoor sundeck, fireside lounge, garden plots & lush landscaped gardens. 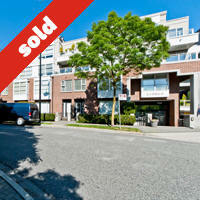 Unbeatable location steps to the waterfront, boutique shops, restaurants & the skytrain station. 1 parking stall included. GST PAID. “Windsor Court” is three story STRATA BUILDING located in the Prime Fairview Area on a quiet street, ½ block west of Oak on West 13th. Incredible location minutes from downtown, 1 block from Vancouver General Hospital with transit, shopping and restaurants steps away. This wood framed walk up complex was built in 1976 and has been self-managed by the owners. The roof and balconies were redone approximately 10 years ago, East window replacement and rain screening on the East facing exterior wall in 2008-2009, new fence at the front of the property in 2013, and a new Fire security panel in 2014. The 5 strata units are owned separately within the same family. Each unit is a spacious 2 bedroom, 1 bathroom ranging between 852 to 869 square feet with wood burning fireplace, electric baseboard heating & balcony (with a large patio on the ground floor). The units each have their own hot water tank, have insuite laundry, and have had individual updates. There is open parking for 5 vehicles and a 2 car garage accessible through the back lane. Building is zoned for RM-3 (Multiple Dwelling) allowing for future development potential. Being strata, there are many advantages including residential mortgages (lower interest rate) and no need to replace rental housing units for redevelopment. Vancouver is at your doorstep at THE SOLD OUT Strathcona Village with Downtown, Gastown, Chinatown, East Village and Commercial Drive within walking distance. This bright West facing 1 bedroom + Flex offers a fantastic floorplan plenty with lots of windows, downtown and water views and a balcony. 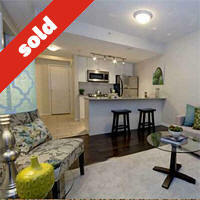 This suite was the original floorplan in the sales centre and was the best selling one bedroom in the complex. Strathcona Village homes is designed by award-winning gBL Architects. With airy living spaces, slick kitchens, spa-like bathrooms and spacious outdoor patios and decks, owning at Strathcona is smart & easy. Amenities include: fitness centers meeting rooms, caretakers, EV charging, bike lockers, and lush rooftop gardens. 1 parking. Assignment of Contract. Completion estimated Fall of 2017. This is the one you've been waiting for - a quiet, spacious and open 2 BR HOME at The Cortina. This suite is perfectly designed for living and entertaining with luxurious dark laminate flooring throughout the living area and comfortable white berber carpet in the bedroom and den, fully equipped kitchen featuring stainless steel appliances (gas cooking! ), upgraded insuite laundry, electric fireplace, AND 1.5 bathrooms for our guests' and your private use. Private balcony with a serene outlook over a tree-lined trail and partial mountain views. 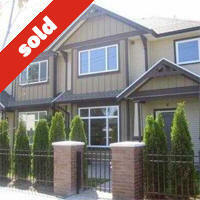 Location is key - close to Skytrain, shopping, schools, trails, parks and more! 1 parking & 1 storage included. Centrally located and efficiently designed with a quiet outlook, this large and spacious 1 bedroom with ground level patio is a must see! Open concept kitchen flows into a generous dining and living area with a fireplace which opens up onto a sun drenched patio, perfect for entertaining all through the year. Big bedroom with cheater ensuite and a roomy closet for ample storage. Lions Park by Polygon offers the best of amenities: outdoor swimming pool, gym, guest suites, theatre, visitors parking and more! Just steps from Kwantlen University, Lansdowne Mall and the Canada Line plus tons of dining and other shopping options coming up! Special bonus: TWO parking stalls (owner paid extra for second stall) & a storage locker included. 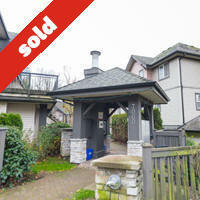 HOT OPPORTUNITY in Vancouver's highly desirable WEST OF MAIN neighbourhood. 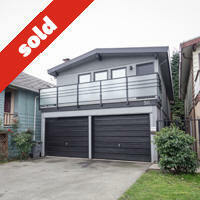 This one of a kind contemporary style renovated Vancouver Special home is ready for moving into just the way it is. 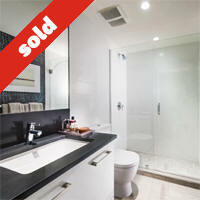 The stylish home was fully remodelled and redesigned by skilled trades to incorporate clean lines and sleek finishes. Unique touches such as expoxy concrete floors and fireplace surround, custom breakfast bar, fully integrated dishwasher and space saving linear kitchen keeps the space open and flowing. 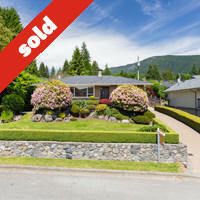 Kitchen opens up onto a sun-drenched South facing Westcoast Cedar deck overlooking serene green space. Cute and practical 1 bedroom mortgage helper suite with full height ceilings and separate laundry. Conveniently located in the heart of the vibrant Mount Pleasant neighbourhood, with plenty of dining and shopping plus just blocks from the Canada Line. Bonus: off street parking for up to 4 cars. Don't miss out on this gem! A Beautiful 3 level Edgemont family residence off Highland Blvd on the QUIET Highland Place with only 4 homes on this street. Custom built over 4,500 sq. ft. European inspired 6 Bed + 5.5 Bath home. Very bright & spacious with a well articulated floor plan. Each room flows seamlessly into the next creating a very airy & tranquil feel. This home offers 3 generous sized fully ensuited bedrooms upstairs. Cross hall living/dining entertaining and gourmet professional chef's kitchen w/island & a fully ensuited 1 BED (Nanny/In-Law Suite) on the main floor! Gorgeous outdoor living spaces w/large patio overlooking the mountains in the front & huge deck leading out to the meticulously maintained landscaped English gardens in the back. 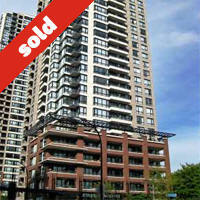 Generous Theatre room & authorized 2 bedroom suite on the bottom level. Located just minutes to Edgemont village, schools, parks and much more! Unique, 1 of a kind residence is a must see! Bright and well maintained split level 4 bedroom duplex centrally located within walking distance to schools, parks, shopping & transit. Home offers 2,187 square feet with spacious living areas, 3 bedrooms upstairs, and a bedroom and large recreation room downstairs. BONUS ADDITIONAL 222 square feet converted crawl space (not included in square footage) has been fully finished perfect for a kids playroom or home office. Large landscaped privately fenced back yard ideal for gardeners and sunny summer days. There is a covered deck off the kitchen for those rainy days. New Roof and hot water tank replaced in 2014, furnace replaced in 2013. Suite potential in basement with separate entrance. Welcome to Moda - A unique collection of 23 contemporary & modern Westside 3-level townhomes build by Aragon featuring beautifully reclaimed hardwood flooring & a feature brick wall. This CORNER home offers 3 levels of living with 2 bedrooms & 2 dens, a 186 square foot patio off the living room perfect for bbqs & a 270 sq ft roof top deck with 360 degrees views of the mountains & the Fraser River. Overheight ceilings throughout including 12' ceilings in living room with a gas fireplace. Chef's Kitchen features Stainless Steel appliances, gas stove & granite counters. Custom upgrades include a custom wall for television, built in shelving, designer paint & lighting. Shows like a brand new home! Bonus 2 side by side parking stalls & locker. 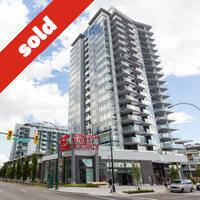 COCO on Spruce, one of Vancouver's West Side's most sought after concrete boutique buildings. Only 4 units per floor, offering lots of privacy. This Southwest corner 2 BR with floor to ceiling windows, 9' ceilings and open floorplan (but distinct dining and living areas) is bright and spacious. Exceptional interior details, with hand set imported porcelain floor tiles, heated floors in the ensuite bathroom, electric fireplace and kitchen featuring full stainless steel appliance package and quartz countertops, perfect for entertaining. Overlooking the tree-lined streets of Fairview, the quiet yet convenient location cannot be beat, just steps from W Broadway, South Granville, VGH, with plenty of shopping/dining and transportation options. 1 Parking Stall and Storage Locker Included. Don't miss this gorgeous 1 BEDROOM with a HUGE PATIO just in time for the BBQ season. Inside you'll love the professional grade chef's kitchen with Viking & Blomberg stainless steel appliances, beautiful stone countertops, laminate flooring and luxurious bathrooms. Outside you have over 180 sq ft of outdoor space overlooking the private & quite courtyard gardens! Be the envy of all your friends in this fabulous location - just minutes from Downtown & only steps to amenities/shops at Olympic Village, Expo and Canada Line Skytrain, Cambie Corridor, and Seawall. Rent a canoe/kayak or walk the Seawall to Granville Island, everything is within reach! Building boasts amenities including caretaker, gym, meeting rooms and lounge. 1 parking and 1 locker included. Call today! Welcome to the highly acclaimed Woodwards - Vancouver landmark property. Stunning, sweeping views of Burrard Inlet, Stanley Park, the snow capped North Shore Mountains & the luminous city lights from every room in this amazing NW Facing 2 bdrm + 2 balcony home. This is the best 2 bdrm floorplan @ Woodwards with no wasted space, lrg living rm & a separate dining area. Home offers H/W flooring, polished concrete ceilings, S/S appl, stone countertops, designer doors & tiles, roughed in home theatre, updated washer/dryer. Amenities are unsurpassed: Club W features indoor/outdoor lounging oasis-library, media rm, hot tub, gardens, gym, & so much more! 1 secured underground prkg included. Maintenance incl heat, hot water and gas. Welcome to Metropolis! This rarely available NE facing corner 1 bedroom + den loft featuring 16'6 over height ceilings overlooking the city & parks. Only the finest materials were used in this fully remodelled home. The suite showcases sultry hardwood floors, stainless steel appliances, enchanting views framed by floor to ceiling windows with custom drapes/roller blinds, natural gas fireplace with stone face, in floor heating, modern concrete & steel staircase + much more! 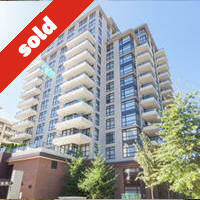 Located at the gateway of Yaletown, steps away from Choices, Emery Barnes Park & endless restaurants/shops. Enjoy contemporary living with fantastic building amenities such as: fitness centre, whirlpool, bike room, courtyard & visitor parking. One parking stall and underground storage locker included. One of a kind, functional 2 BR + Den + Flex unit with LARGE PATIO in the Award Winning Pomaria Building developed by Qualex Landmark. Luxurious finishings featuring European wood cabinets, high end appliances, granite countertops, lots of storage and plenty of outdoor space to top it off. The perfect outlook which is QUIET and SERENE overlooking the landscaped courtyards. This is a LEED certified building with geothermal air-conditioning, 24 hr concierge, gym, yoga rm, steam room & sauna. Pomaria is steps away from seawall, aqua bus to Granville Island & the trendy Yaletown, close to all shopping and world class restaurants. Don't miss out on this opportunity! QUIET East facing 1 Bedroom + Flex with Balcony overlooking the Courtyard at 2300 Kingsway. This perfectly laid out, spacious home offers an open concept floor plan, no wasted space & an oversized balcony perfect for gazing over the courtyard. Designer features include gourmet chef's kitchen with granite countertops, GE S/S appliances, fully tiled striking spa-like bathrooms, laminate flooring and much more! Located in the culturally diverse Renfrew-Collingwood neighbourhood includes Norquay Village shopping and choice Vancouver restaurants. 2300 Kingsway Vancouver residences are the perfect locale for accessing the city's best. Conveniently located in Central Lonsdale, this top floor 2 BEDROOMS plus 1 BATH unit with vaulted ceilings is waiting for you to call it home! Bright and spacious floor plan with quiet southern exposure maximized sunlight throughout the day. It's move in ready w/ new paint & blinds, updated flooring & kit with granite countertops, cherry cabinets and cork flooring plus insuite laundry. Master bedroom has a large walk in closet w/ closet organizers. Catch peekaboo views of downtown, Lions Gate bridge & the North Shore mountains from your private balcony or the master BDRM. Proactive strata has finished new roof & plumbing over the last few years. 1 parking/1 storage locker included too! Walking distance to Queen Mary School recently recognized with the Primary IB program and the Community Services Associates providing out-of-school care, preschool and daycare! To see is to love! Welcome to Polygon's South Hampton - Enjoy picturesque tranquil river front living, steps to the river-walk, park and community center. This spacious UPDATED 1 Bedroom corner home offers plenty of windows & an oversized balcony. Fantastic floorplan with open kitchen, dining room area, nook/office area, gas fireplace, walk in closet in bedroom & double entrance to bathroom. Updates include Stainless Steel Appliances, designer paint, built in shelving & laminate flooring. Amenities include gym & bike storage. Call today for appointment. Impressively bright, wonderfully spacious & energy efficient with LEED GOLD. Orizon on Third is 104 gorgeous residences on 6 levels, designed to maximize the Northshore you love. In-floor hydronic radiant heating, laminate flooring in living room, kitchen & den. Gourmet SS appliance package, contemporary kitchen cabinets w/frosted glass uppers, soft close mechanisms, quartz counters in kitchen & baths. This two bedroom + den show suite features a dream walk in closet, spacious den with a closet. This home is move in ready. Parking & storage locker incl. Impressively bright, wonderfully spacious & energy efficient with LEED GOLD. Orizon on Third is 104 gorgeous residences on 6 levels, designed to maximize the Northshore you love. In-floor hydronic radiant heating, laminate flooring in living room, kitchen & den. Gourmet SS appliance package, contemporary kitchen cabinets w/frosted glass uppers, soft close mechanisms, quartz counters in kitchen & baths. This two bedroom + den show suite features a dream walk in closet, spacious den with a closet, one of the complexes largest patios & 9' ceilings. Ask us about this homes special noise reduction. This home is move in ready. Parking & storage locker incl. 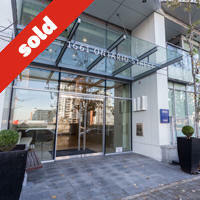 LIVE THE LEGEND AT THE MAYNARDS BLOCK - 2 Intelligently Modern Concrete, Steel & Glass Towers. This perfectly laid out 1 Bdrm plus big flex is a one of a kind floor plan with open North East Downtown and garden views. Stainless steel appliances, beautiful laminate floors & meticulously selected materials throughout. Open concept kitchen lends to an open flowing space. Amenities include: gym, party lounge, common patio (same floor) & concierge. 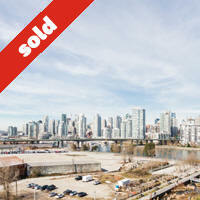 Located in Southeast False Creek, resting at the edge of downtown, balanced along a line of urban & natural beauty. Close to an assortment of urban nature, daily adventures accessible by foot, bike or the nearby Canada Line steps away & Water taxi. 1 prkg/1 strge included. Welcome to Virtu! Urban oasis perfect for the ideal home, pied a terre or investment property alike in a prime city location. This rarely available SE corner 1 bedroom and LARGE DEN (enough for a second bedroom) unit features almost 700 square feet of living space + private balcony with pictureque views of downtown/mountains over the garden. Spacious w/lots of windows & fabulous interiors: granite counters, brand new top of the line high end 5" hardwood laminate flooring, designer paint/lighting + luxurious kitchen with stainless appliances, gas cooktop & plentiful storage. Boutique building features art room, gym, lounge & an unbeatable South Granville location steps from restaurants, shopping, Granville Island & everything you could ask for! 1 parking and storage included. TOMORROW'S NEIGHBOURHOOD TODAY - Design, architecture, and value. Ideally located in the heart of the new Southeast False Creek neighbourhood, just minutes from Downtown and steps from the Seawall and Cambie Village. The 4 stunning glass towers will create a striking impression amidst lush green spaces and landscaped pathways. Professionally designed chef's kitchens with state of the art commercial grade appliances and luxurious bathrooms with expansive wall and floor tiles providing a dramatic backdrop to the elegant countertops. This North facing 1 BR unit with a huge patio maximizes space with a practical open layout. 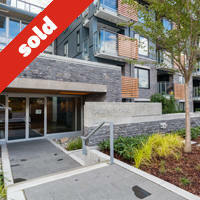 Design, architect & value, all within reach at the newly built Wall Center False Creek! This 1 Bed + Flex home features a professional grade chef's kitchen with Viking & Bloomberg stainless steel appliances & beautiful stone countertops, engineered hardwood flooring, a luxurious bathroom and private balcony. 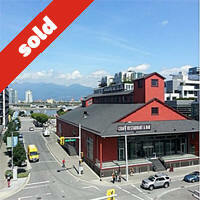 Enviable Southeast False Creek location! 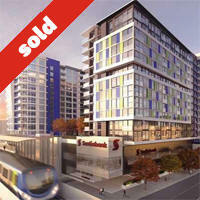 Just minutes from downtown & only steps to amenities/shops at Olympic Village, skytrain, Cambie Corridor and Seawall. Rent a canoe/kayak or walk the Seawall to Granville Island, everything is within reach. Building boasts caretaker, guest suite, gym, meeting rooms & lounge. 1 parking included. Call today for your own private viewing! 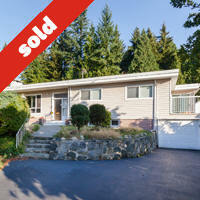 Great opportunity in desirable Forest Hills area of North Vancouver. 70'x125' (8750sqft) ultra private lot with a sunny West facing front yard. 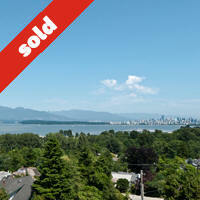 Site has maximum building potential with a full flat backyard with views of downtown and Stanley Park from 2nd floor. Dream neighbourhood to raise a family close to North Shore's many recreational facilities, walking trails & best rated schools (Canyon Heights Elementary/Handsworth Secondary). Not ready to build yet? This cozy home offers 4 bedrooms and 2 bathrooms with a large kitchen & formal living/dining room area upstairs plus a big rec room & spacious family room with lots of storage downstairs. To hold or build, this is a must see! Open House Sunday October 5 from 2-4pm. Looking for family and pet friendly ground floor living in a convenient location? Look no further than THE OAKWOOD - built by renowned developer Intracorp. This ground level townhome with over height ceilings has direct private access into the unit like a detached home with LOTS of outdoor space including a patio in front and an open yard in the back (one of the biggest in the complex!) and a large open kitchen and separate dining area for entertaining. Perfectly laid out with no wasted space, good size bedroom and den (or 2nd bedroom) plus cheater ensuite with double access. Location is optimal: just steps from transportation (Bus and Skytrain), shopping (Metrotown) & dining! Prime central Richmond location that cannot be beat! Just steps from Lansdowne Canada Line Station, bus routes, Kwantlen University, and all the dining & shopping that Richmond offers. This rare and spacious 1 BR plus Den with large balcony offers open views of the city and mountains. Open concept kitchen overlooks a grand and bright living area. Huge master bedroom (king bed and more) connects directly to the bathroom like an ensuite. The unit is move in ready with new paint, hoodfan, blinds & bathroom fixtures. Expertly developed by Appia - Prado is well managed, under warranty & offers amenities such as concierge, garden, games room, guest suite, fitness, steam/sauna & meeting rooms. 1 large parking stall & 1 locker included. Welcome to the Capitol Residences - Centre stage sophistication and style meet here at the cultural heart of Vancouver. This perfectly laid out North facing 1 Bedroom + Home Office + Balcony home offers UPGRADED laminate flooring with city & courtyard views. Exquisite interiors by Vancouver's acclaimed BYU Design feats distinctive millwork, luxurious marble flooring, roller shades & a double entrance to the bathroom. Chef's kitchen feat stainless GE Profile appliance package, gas cooktop & sleek flat-panel slab cabinets w/aluminum framed glass upper doors. 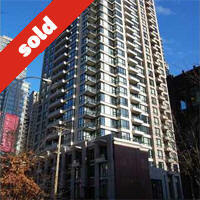 1st class location close to the entertainment/financial district, transit/Skytrain, Robson St & Yaletown. Complex features concierge, fitness centre, lounge, meeting rooms & 4 high speed elevators. Welcome to SOUTHRIDGE MEWS - Nestled on South Arm Park, Walking distance to South Arm Community Centre, schools, No 3 Rd, bus route and shopping. Fantastic 2 level townhome with 3 bedrooms on a quiet street featuring generous floor plan with luxurious finishing. 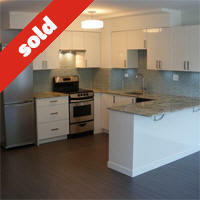 Granite counters, maple kitchens, real H/W floors on main, designer ensuites. Superior landscaping with an attached 2 car garage. 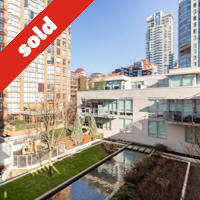 Welcome to Yaletown Park 3 - an Urban Oasis in a park-like setting. This rare & highly desirable (original display suite layout), bright & spacious East facing LARGE 1 bedroom + flex unit with a CHEATER ENSUITE is perfectly laid out w/an oversized balcony. Very green outlook facing Mainland St. Features Peninsula style gourmet kitchen, polished stone kitchen counters, Italian marble & chrome fixtures in the bathroom. With an UNBEATABLE LOCATION, you're steps away from all the boutique shops & restaurants in Yaletown as well as the Canada Line, theatres, library, grocery shops, Costco, BC Place & Rogers Arena in the near vicinity. Top notch building w/exercise centre & lounge. 1 parking and 1 storage locker included. Welcome to Bridge @ the Village on False Creek. This immaculate 3 bedroom home offers over 1400 square feet of interior living space, highlighted by 9.5 foot ceilings, westerly exposure & a large 300+ square foot outdoor covered terrace overlooking spectacular UNOBSTRUCTED downtown & mountain views. The kitchen is outfitted with Subzero & Miele, centered around an island, perfect for entertaining. Built by ITC, you can begin to appreciate that quality counts - solid wood entry door, Eggersman cabinetry, engineered hardwood flooring. Extras include 2 Parking Stalls, custom built-ins throughout & a Murphy bed to maximize the space in the third bedroom. Amenities include the Gold Medal Club featuring indoor pool, fitness facilities, steam & sauna rooms. 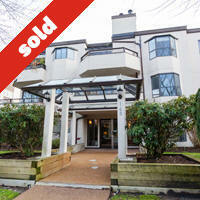 Fantastic location steps from transit, shopping & the seawall. Welcome to the Capitol Residences - Centre stage sophistication and style meet here at the cultural heart of Vancouver. This N facing 1 Bedroom + Solarium + Flex home offers sweeping views of the city skyline. Exquisite interiors by Vancouver's acclaimed BYU Design feats distinctive millwork, luxurious marble flooring, roller shades & a double entrance to the bathroom. Chef's kitchen features S/S GE Profile appliance package, gas cook top & sleek flat-panel slab cabinets w/aluminum framed glass upper doors. 1st class location close to the entertainment/financial district, transit/Skytrain, Robson Street, minutes to trendy shops and restaurants in Yaletown. Complex features concierge, fitness centre, lounge, meeting rooms & 4 high speed elevators. CHIC contemporary quality at CAMERA! 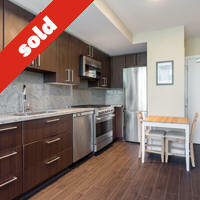 Stylish 2 bedroom & den loaded with custom finishes & upgrades. Rich hardwood floors, frosted glass doors, quartz counters & centre island, added teak cabinetry, state of the art stainless kitchen, Sub Zero fridge, upgraded washer/dryer,two sleek luxurious baths with radiant heat, linen draperies, customized closets & storage, inviting gas fireplace and there's even a place for your own wine fridge! Bedrooms are well separated, the second can be used as a cozy den/lounge area & there's still another room that's perfect for a bright open office.N. facing balcony to BBQ & enjoy.Two pets & rentals are welcome.Just a stroll to the Granville shops & FC Seawall at Granville Island! We have the neighbourhood. We have the park. We have the views. We have the shopping. We have to transit. All that is missing is you! Wall Centre Central Park. Relax, exercise, work and play - building homes and building balance lives. Wall Financial does it again. An assortment of 1 and 2 BR homes designed to meet LEED Gold Standards by award-winning GBL Architects featuring floor to ceiling windows, cocoa wood-tone laminate floors, shaker-style cabinetry, quartz/marble counters, and stainless steel appliances (gas range). Amenities include: fitness centre, 60-foot lap pool, Jacuzzi spa, meeting rooms, caretaker and lush garden space. 1 parking included. Living in Strathcona, Vancouver is at your doorstep. Direct bus routes are right out front and the Union Street bike path is just blocks away. Even if you're not a cyclist, be sure to visit the family-run Benny's Market, which has been serving outstanding sandwiches in the same Union Street spot since 1917. Whether it's shopping, dining, cycling, walking, doing business, or exploring Vancouver's thriving cultural scene, you're well-positioned living here. Walk to work, or fire up your laptop in your home office, either way Strathcona Village has you ideally situated for life in the city with easy access to downtown - without downtown prices. With spacious floor plans, luxe furnishings, and incomparable views added to the mix, you may find your home becoming the gathering place for all your friends. Completion Mid to Late 2017. Welcome to Yaletown Park! This well laid out one bedoorm plus home office has absolutely no wasted space & balcony facing the quiet courtyard far away from street noise. 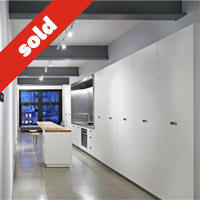 Featuring a chef's kitchen, built-in wine rack, peninsula style kitchen, lots of built in storage, just to name a few. With an UNBEATABLE LOCATION, you are steps away from all the boutique shops&restaurants in Yaletown as well as the theatres, library, grocery stores in the near vicinity. Top notch building w/a PROACTIVE STRATA, grand lobby, exercise centre, endless gardens, party room, media room&even a GUEST SUITE. Enjoy open beautiful view of the city and courtyard from inside and outside on your large balcony. 1 parking & 1 storage. To see is to BUY! Luxury one bedroom plus den in Prado, developed by Appia, reputable builder. Bright and spacious, great mountain and city view. Open concept floor plan - living/dining/kitchen/den. Caesar stone counter, laminate flooring in lvgrm/dining. Comes with under building parking. Still under 2-5-10 New Home Warranty. Building amenities include Gym, Sauna, Steam Room, Guest suites, Lounge, Recreation Room & Concierge. Close to Kwantlen College, Lansdowne Shopping Mall, restaurants & Canada Line..
Luxurious entertaining space, impeccable views, prestigious location, low maintenance – quality in details to satisfy any discerning home buyer! Stunning 4-Level West Point Grey home with Panoramic WATER, DOWNTOWN & MOUNTAIN views situated on a 33x168 perfectly landscaped lot positioned on the high side of a quiet cul-de-sac for ultimate privacy. This steel frame constructed custom 5 BR/4.5 bath masterpiece designed by architect Stuart Howard offers entertainers a perfect separation with guest suite on the bottom floor, kitchen/living/family room on the middle floors & the master bedroom on the top. Each floor is guaranteed to be at optimal temperatures for comfort with air conditioning and in concrete floor radiant heating. BONUS: steel beams and separately secured and temperature controlled storage for showcasing your rotating fine art collection. Meticulously cared for by the builder/owner, every detail is hand picked of the highest quality. Easy & flat access from 4th Avenue combined with a heated outdoor walkway takes away any concerns of gloomy Vancouver days. 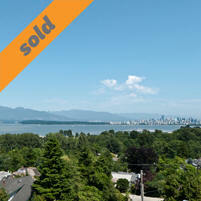 Just steps from Jericho Beach and minutes from UBC as well as Queen Mary Elementary & Lord Byng Secondary. Welcome to the Capitol Residences - Centre stage sophistication and style meet here at the cultural heart of Vancouver. This SW facing 2 Bedroom + Den home offers sweeping views of the city skyline. Exquisite interiors by Vancouver's acclaimed BYU Design feats distinctive millwork, luxurious marble flooring, roller shades & a double entrance to the bathroom. Chef's kitchen features S/S GE Profile appliance package, gas cook top & sleek flat-panel slab cabinets w/aluminum framed glass upper doors. 1st class location close to the entertainment/financial district, transit/Skytrain, Robson Street, minutes to trendy shops and restaurants in Yaletown. Complex features concierge, fitness centre, lounge, meeting rooms & 4 high speed elevators. Welcome to Robson and Richards - This Bright & Attractive well laid out one bedroom & den, one floor below the sub-penthouse level. This fresh and modern building and unit including granite counters and kitchen bar, stainless appliances, gas range with beautiful wood flooring. BStep outside on your balcony and see the beautiful North facing outlook. Efficient layout with a spacious den that can be used as an office or storage. 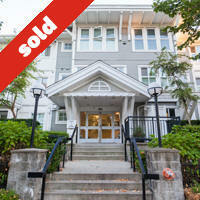 Well maintained building in a prime location, close to shops, restaurants, theatres, parks, public transit - Canada Line. One parking stall. This masterpiece of workmanship located in prime & quiet location with easy access to all area. Away from the busy Fraser St & E 12th Ave and the commercial aspect of E 10th Ave; however, buses & VCC Skytrain Station are just steps away. Mt St Joseph Hospital and at least 4 parks in the neighbourhood to provide healthy atmosphere. This front side of brand new duplex offers functional floor plan, fully finished of 3 storeys plus lots of bonus storage area. Trendy quartz countertop, and LG appliances. Efficient radiant heating system saves you on the gas bill, and the overall high Geo rating benefits your energy consumption years long. Florence Nightingale Elementary & Sir Charles Tupper Secondary.. TOMORROW'S NEIGHBOURHOOD TODAY - Design, architecture, and value. Ideally located in the heart of the new Southeast False Creek neighbourhood, just minutes from Downtown and steps from the Seawall and Cambie Village. The 4 stunning glass towers will create a striking impression amidst lush green spaces and landscaped pathways. Professionally designed chef's kitchens with state of the art commercial grade appliances and luxurious bathrooms with expansive wall and floor tiles providing a dramatic backdrop to the elegant countertops. 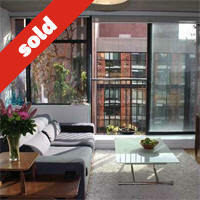 This East facing 1 BR unit with solarium, flex & outdoor balcony maximizes space with a practical open layout. Unit comes with a Storage Locker. 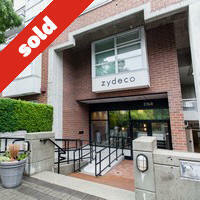 One of a kind beauty in this building - Never been on the market in the highly sought after & stylish Zydeco at Arbutus Walk. Built by Award Winning developer Concert Properties, this over 1000 sqft 3 bdm (or 2BR+den) + office/storage suite is bright & spacious like Penthouse living w/over 300sf of outdoor space, plentiful storage, no neighbours above (a MUST for ultimate privacy) AND on the desirable QUIET SIDE of the bdg overlooking the tree lined streets w/peeps of mtn views. Open concept kitchen offers Whirlpool appl. pkg w/breakfast bar & living area features cozy gas F/P & TONS of windows. Prime location: steps to shopping, parks, recreation & transit. 2 side by side pkg stalls incl w/LOTS of visitor pkg. 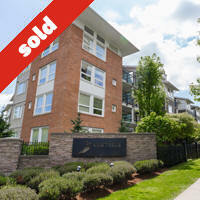 Welcome to the highly sought after & stylish Zydeco at Arbutus Walk. Built by Award Winning developer Concert Properties, your well laid out & beautifully kept CORNER 2 bedroom 1 Bathroom faces Northwest - the desirable QUIET SIDE of the building overlooking the tree lined streets. Open concept kitchen offers Whirlpool appliances package with breakfast bar, hardwood flooring, cosy gas fireplace, designer paint & an oversized patio perfect for BBQ's and entertaining. Location can't be beat: Steps to shopping, parks, recreation and transit. BONUS 2 PARKING STALLS & locker included with plenty of visitor parking. 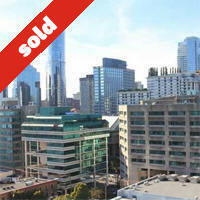 A unit like this rarely comes on the market, don't miss out on this one. 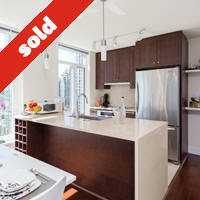 Welcome to the Beasley - A life of luxury soaring 34 storeys above Yaletown & Robson Street. This West 1 BR plus Flex & BIG PATIO is perfectly laid out and great for soaking up the afternoon sun. Open your door to laminate and tile flooring & a Gourmet Chef's kitchen complete with oversized stone slab C/T, SS Premium appliances, bar pendant lighting & high quality modern shaker cabinetry. Spa-like baths offering rich stone counters, under mount designer square sinks, custom medicine cabinets & full height ceramic tub surround. Unit features upgraded custom organizers and designer lighting. 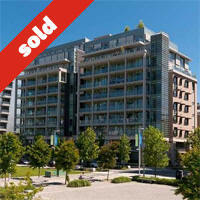 The Beasley perfectly balances beauty style&functionality: 24 hour concierge, fitness centre, party lounge&gardens. 1 Parking & Storage Included. 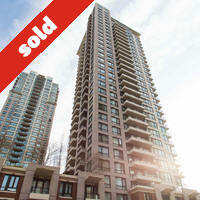 Welcome to the Beasley - A life of luxury soaring 34 storeys above Yaletown & Robson Street. This SW facing 2-Bdrm + Den & balcony offers 785 Sq Ft of spacious living in a perfectly laid out open floor plan w/separate bdrms, outdoor balcony w/beautiful views. Open your door to rich hardwood flooring entryway & a Gourmet Chef's kitchen complete with oversized stone slab C/T, SS Premium appliances, bar pendant lighting & high quality modern shaker cabinetry. Spa-like baths offering rich stone counters, under mount designer square sinks, custom medicine cabinets & full height ceramic tub surround. The Beasley perfectly balances beauty style & functionality. 1 Parking Stall and Storage Locker included. PENTHOUSE living at the Wall Centre False Cree - TOMORROW’S NEIGHBOURHOOD TODAY. Ideally located in the heart of the new Southeast False Creek neighbourhood, just minutes from Downtown and steps from the Seawall and Cambie Village. The 4 stunning glass towers will create a striking impression amidst lush green spaces and landscaped pathways. Professionally designed chef’s kitchens with state of the art commercial grade appliances and luxurious bathrooms with expansive wall and floor tiles providing a dramatic backdrop to the elegant countertops. This Southeast facing 2 Bedroom home features over height 10' ceilings, spectacular views of the city with and oversized outdoor balcony. Completion is estimated for Spring 2013. Most desirable and popular 1 Bedroom + Home office on the QUIET SOUTH side offering 533 sq ft with an open concept floor plan & balcony. Architecturally stunning concrete vertical lines and elegant steel construction create striking street level impact. Culturally diverse Renfrew-Collingwood neighbourhood includes Norquay Village shopping and choice Vancouver restaurants. 2300 Kingsway Vancouver residences are the perfect locale for accessing the city's best. Includes Parking and Storage Locker. For photos and features go to: www.2300kingsway.com. Assignment of contract. Completion 2013. TOMORROW’S NEIGHBOURHOOD TODAY – Design, architecture, and value. Ideally located in the heart of the new Southeast False Creek neighbourhood, just minutes from Downtown and steps from the Seawall and Cambie Village. The 4 stunning glass towers will create a striking impression amidst lush green spaces and landscaped pathways. Professionally designed chef’s kitchens with state of the art commercial grade appliances and luxurious bathrooms with expansive wall and floor tiles providing a dramatic backdrop to the elegant countertops. This huge 1 BR with large balcony layout offers maximum storage space with insuite flex room plus additional pantry space. Enjoy ultimate privacy and quietness overlooking the inner courtyard of the building. Completion is estimated for Spring 2013. 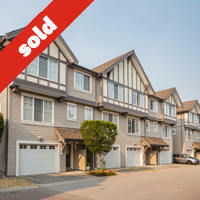 Be bold or move to Suburbia - WOODWARDS! 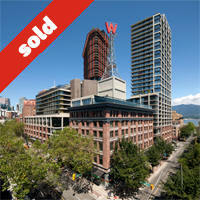 The wait is finally over...Gastown's newest Vancouver landmark property is now ready for move in. A masterpiece in design - from architecture to planning, this unique building is one of a kind. 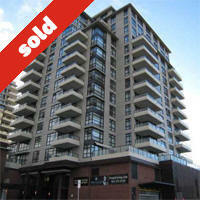 Enjoy vibrant views from this bright 2 BEDROOM NW corner unit with large balcony. Be proud to call this home, with funky eng wood floors, polished concrete ceilings, S/S appliances, stone countertops, designer doors & tiles. Amenities are unsurpassed: Club W features an indoor/outdoor lounging oasis - library, media room, hot tub, gardens, gym, lounge space & so much more! 2 secured tandem underground parking included. Maintenance includes steam heat & internet. 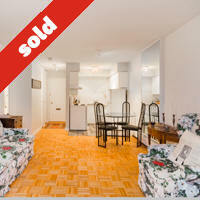 Fully renovated 1 bedroom home in a solid well maintained, prestigious, concrete modernist landmark building. New Kitchen with glass tile backsplash and onyx countertops, stainless steel appliances. Laminate flooring from Germany, fully tiled bathroom, fresh paint and baseboards. This home just needs your furniture. 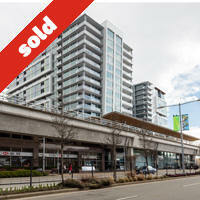 Convenient to the shops of South Granville & transit. Common rooftop deck has a spectacular view. 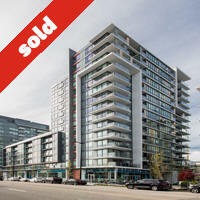 Welcome to the Lower Lonsdale's most exclusive & award-winning development: One Park Lane. This perfectly laid out South facing 1 bedroom + den offers an open floor plan with no wasted space, 9' ceilings, double entrance to bathroom, gas fireplace, balcony & lots of UPGRADES. Open style chef's kitchen with granite countertops, stainless steel appliances, gas stove & plenty of storage in dark wood cabinets. Upgrades include beautiful mahogany hardwood flooring, custom built-in TV above fireplace, closet organizers, ceiling fan & designer paint throughout. 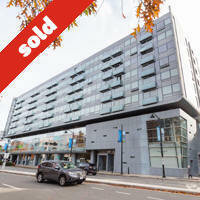 Building offers concierge, visitor parking, exercise, theatre & party room. FANTASTIC location steps from John Braithwaite Community Centre, chic & trendy shops/restaurants, Lonsdale Quay & access to downtown via the Seabus. 1 parking stall and storage locker included. Welcome to the BRIDGE! 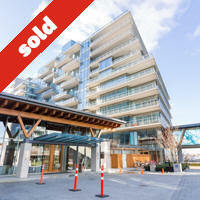 The Village on False Creek is LEED Platinum certified, the most sustainable in the world. This 3 BR + Flex + Encl Balcony city home, features a large 315 sf patio with city skyline, False Creek & sunset views, over height 9'+ high ceilings, German-imported kitchen of Miele S/S appliances - gas range/oven, dishwasher & Sub-Zero fridge. Eggersman cabinetry & luxury faucets throughout. Amenities incl Gold Medal Club, a separate fitness room & furnished lounge are located in lobby. The urban plaza will be anchored by supermarket, London Drugs, Legacy Liquor store & more. Steps from Canada Line & Expo Skytrain Stns, bus lines, Aquabus & seawall. 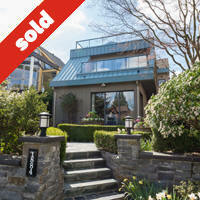 2300 Kingsway has the distinctive marquee of a signature wall community. This N facing 536 sq.ft. 1 bedroom offers an open concept floor plan with den and insuite storage and features North city and mountain views. Architecturally stunning concrete vertical lines and elegant steel construction create striking street level impact. Culturally diverse Renfrew-Collingwood neighbourhood includes Norquay Village shopping and choice Vancouver restaurants. 2300 Kingsway Vancouver residences are the perfect locale for accessing the city’s best. Estimated completion early 2013. TOMORROW’S NEIGHBOURHOOD TODAY – Design, architecture, and value. Ideally located in the heart of the new Southeast False Creek neighbourhood, just minutes from Downtown and steps from the Seawall and Cambie Village. The 4 stunning glass towers will create a striking impression amidst lush green spaces and landscaped pathways. Professionally designed chef’s kitchens with state of the art commercial grade appliances and luxurious bathrooms with expansive wall and floor tiles providing a dramatic backdrop to the elegant countertops. This 1 BR with + Flex offers maximum storage space with insuite flex room plus additional pantry space. Enjoy ultimate privacy and quietness overlooking the inner courtyard of the building. Completion is estimated for Spring 2013. Rarely available garden view 2BR/2 bath above ground unit at The Regency located in Boundary Park. Spacious & open layout with ample space for furniture & storage. This quaint home is perfect for any growing young families or downsizers. Updated floor tiles and light fixtures, this home has been meticulously cared for. Enjoy quiet nights in by the cozy living room with gas fireplace or entertain the masses with flowing principle rooms & large balcony too! If that’s not enough, move the party downstairs to the common party room w/ billiards table .Proactive strata council with caring owners ensures the building is well maintained. 2 parking stalls & 1 storage locker included, plus lots of covered visitor’s parking. 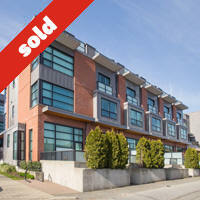 Welcome to the highly sought after & stylish Zydeco at Arbutus Walk. Built by Award Winning developer Concert Properties, your well laid out 1 bedroom faces West - the desirable QUIET SIDE of the building overlooking the tree lined streets. Open concept kitchen offers Whirlpool appliances package with breakfast bar, hardwood flooring in the living areas, cosy gas fireplace & an oversized patio perfect for BBQ’s and entertaining. Plenty of closet space in the bedroom with a full Walk in Closet. Location can't be beat: Steps to shopping, parks, recreation and transit. 1 Parking stall & locker included with plenty of visitor parking. Top floor beauty in the highly coveted Carmichael House at Brentwood Gate! This Penthouse 2 Bedroom + 2 Bathroom home faces the QUIET side of the building away from traffic &Skytrain noise. Meticulously kept & in show home condition. Perfectly laid out w/ separated Bedrooms & open concept kitchen leading onto a defined dining & living area w/ cozy electric F/P. Spacious balcony overlooks the serene courtyard gardens. UPGRADED LARGE washer/dryer & light fixtures plus designer paint throughout. Enjoy the amenities: hot tub, fitness centre, entertainment lounge, meeting rooms + tons of visitor's parking! Centrally located within walking distance to parks, restaurants, schools, transit & shopping. 1 parking & 1 locker included. 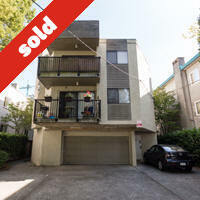 1 LEVEL, 2 Bedroom + Office Townhome with WRAP AROUND PATIO. Introducing Richards - A rare defining modern center piece in the heart of Vancouver: 2 distinctive 1907 Edwardian inspired gable-front heritage houses & a sleek 18-storey tower features 231 homes including walk-up brick Townhomes. Features include upgraded HW in living area, designer carpeting in bedrooms, masterful Chef kitchens w/stainless-steel appliances & granite counters in kitchen & bathrooms. Amenities incl fully equipped fitness centre, amenity room & podium level urban orchard. Richards combines front door access to every urban amenity imaginable w/the unequalled luxury of living in North America's most vibrant trendsetting hub. Landmark living in the centre of Vancouver. 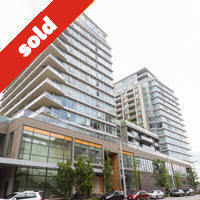 Welcome to Yaletown Park 3! This well laid out one-bedroom plus home office has absolutely no wasted space & balcony. Featuring top-of-the-line Stainless Steel GE appliances, built-in wine rack, peninsular-style kitchen, polished chrome faucets in the bathroom, just to name a few. With an UNBEATABLE LOCATION, you are steps away from all the boutique shops & restaurants in Yaletown as well as the theatres, library, grocery shops in the near vicinity. Top notch building with a GRAND LOBBY, exercise centre, endless gardens, party room, media room & even a GUEST SUITE. Enjoy open beautiful views of the city from inside & outside on your large balcony. 1 parking & 1 storage. Wow! Great views, amazing location, good size lot, curb appeal...what more can you ask for! This 4 Bdrm home is situated right across from Moscrop Secondary School offering open views of trees and mountains. The house is bright and spacious with skylights and high ceilings...even full height basement. Perfect space for entertaining and raising a family, close to Burnaby's best schools (elementary and secondary) and just minutes away from restaurants, shopping and the highway. Routinely maintained and well kept with newer hot water tank and fridge. Be bold or more to Suburbia - WOODWARDS! A masterpiece in design - from architecture to planning, this unique building is one-of-a-kind. Enjoy OPEN city & water/mountain views from this bright 1 BEDROOM unit w/Juliette balcony. Be proud to call this home w/funky engineered wood floors, polished concrete ceilings, SS appliances, stone courtertops. Amenities are unsurpassed: Club W feats an indoor/outdoor lounging oasis - library, media room, hot tub, gardens, gym, lounge space & so much more! 1 secured leased parking included. Maintenance incl gas, hot water, heat & internet. No property taxes until Jan 1st, 2013! Welcome to Yaletown Park! This well laid out one-bedroom plus home office has absolutely no wasted space & balcony. Featuring top-of-the-line GE appliances, built-in wine rack, peninsular-style kitchen, polished chrome faucets in the bathroom, just to name a few. With an UNBEATABLE LOCATION, you are steps away from all the boutique shops & restaurants in Yaletown as well as the theatres, library, grocery shops in the near vicinity. Top notch building with a GRAND LOBBY, exercise centre, endless gardens, party room, media room & even a GUEST SUITE. Enjoy open beautiful views of the city from inside & outside on your large balcony. 1 parking & 1 storage. Welcome to Yaletown Park! 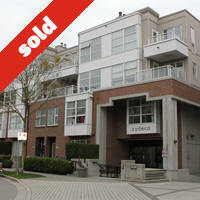 This well laid out one bdrm plus home office has absolutely no wasted space & balcony. Featuring top of the line appliances, built-in wine rack, peninsula style kitchen, polished chrome faucets in the bathroom, just to name a few. With an UNBEATABLE LOCATION, you are steps away from all the boutique shops & restaurants in Yaletown as well as the theatres, library, grocery stores in the near vicinity. Top notch building w/a GRAND LOBBY, exercise centre, endless gardens, party room, media room & even a GUEST SUITE. Enjoy open beautiful views of the city & courtyard from inside & outside on your large balcony. 1 parking & 1 storage. To see is to BUY! 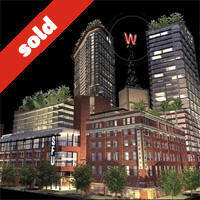 Here's your chance to own in the Woodwards development in Gastown! This quiet atrium 1 BR unit is perfect for any discerning first time buyer or investor. No property taxes until 2013! High speed internet, heat, gas, 24 hr concierge & security, & amenities all included. Modern polished concrete ceilings, engineered wood flrs, marble composite C/T, glass tiles, S/S appls and custom designed doors are just some of the features. 10 yr leased parking also included. View the entire city in all directions from the top floor amenities! The 42nd flr, Club "W" includes indoor wall-climbing, Wi-Fi, pool tables, media room, gym, showers & an indoor/outdoor lounge & entertaining space w/BBQs & a W-shaped hot tub. 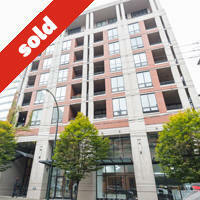 Great value for this one BR condo in the Woodwards development in Gastown! No property taxes until 2013! High speed internet, heat, gas, 24 hr concierge & security, & amenities all included. Modern polished concrete ceilings, engineered wood flrs, marble composite C/T, glass tiles, S/S appls & custom designed doors are just some of the features. 10 yr leased parking also included. View the entire city in all directions from the top floor amenities! The 42nd flr, Club "W" includes indoor wall-climbing, Wi-Fi, pool tables, media room, gym, showers & an indoor/outdoor lounge & entertaining space w/BBQs & a W-shaped hot tub. Owner occupied since Day 1, this gem is perfectly maintained for any first time home buyer or investor. 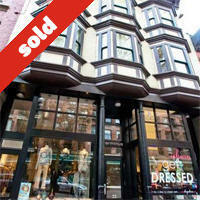 Located in hip & trendy Historic Gastown on Water Street. Welcome to Terminus: Beautiful loft conversion with all the charm of the brick and beams maintained! Largest unit in the building with all the bells and whistles! Over 1600 sq ft 2 level suite overlooking historic Water Street. Very quiet: excellent open plan with 2 beds and den/2 baths. 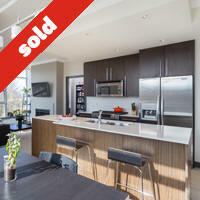 16 foot ceilings: fabulous high end lighting: wired for sound: the list goes on and on...includes parking. Step out your front door & enjoy - Salt, Chill Winston, Jules Bistro, Water St Cafes, Irish Heather, Bonetta, Inform, Koolhaus & brand new Nestler's Market & London Drugs. 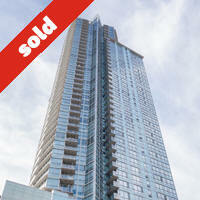 Welcome to the Beasley - A life of luxury soaring 34 storeys above Yaletown & Robson Street. This 1 bedroom plus den offers a large patio and with city views. Gourmet Chef's kitchen complete with oversized stone slab C/T, SS Premium appliances, bar pendant lighting & high quality mondern shaker cabinetry. Spa-like baths offering rich stone counters, under mount designer square sinks, custom medicine cabinets & full height ceramic tub surround. The Beasley perfectly balances beauty style & functionality. Travel back in time as you enter the lobby of one of Vancouver's heritage bldgs & be prepared to be wowed as you step into the best of best conversion suites. 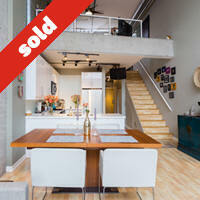 This open concept loft is perfectly designed for today's modern urbanite! Sleek kitchens w/stainless steel appl/backsplash & 12' butcher blk island. Max storage: his/her wardrobes, pulldown bed, workstation, library & pullout pantry all incl for everyday living or neatly tucked away to entertain. Enjoy privacy w/black out blinds & extra drywall on the one neighbouring wall for higher acoustic separation. Common roof deck of Paris Annex will be ready in time to welcome the sun. Full security system for peace of mind. Bonus: No prop taxes until June 2012 & 1 prkg included. LIVE THE LEGEND AT THE MAYNARDS BLOCK - 2 Intelligently Modern 13 & 9 Storey Concrete, Steel & Glass Towers connected to the historically restored Maynards Brick Building. Located in Southeast False Creek, the Maynards Block rests at the edge of downtown, balanced along a line of urban & natural beauty. Conveniently close to an incredible assortment of urban nature, daily adventures accessible by foot, bike or the nearby Canada Line 1 block away & the Water taxi. Spacious floorplan with open Southeast city views. Buy at 2009 prices and only pay GST with this assignment! Estimated completion Fall 2012.